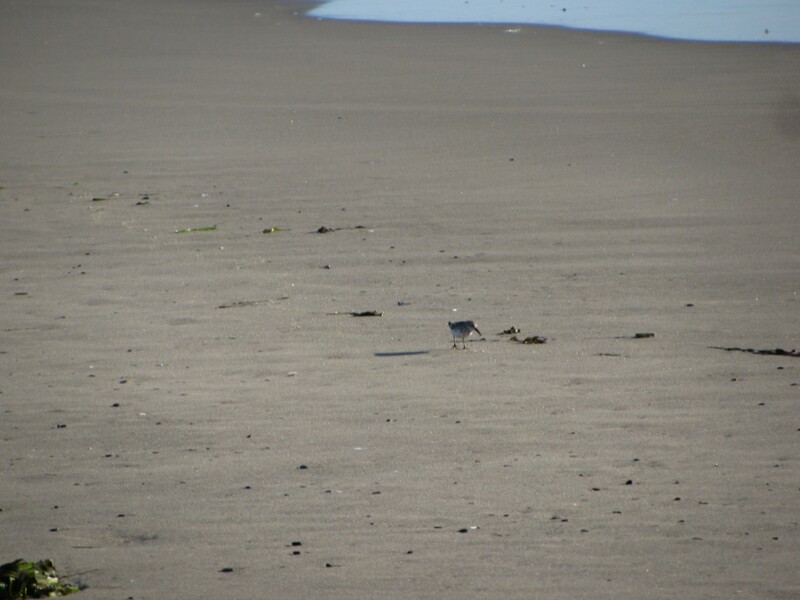 Many shorebirds foraging in the driftline: whimbrel, 12 semi-palmated plovers, 3 sanderlings, 4 Western sandpipers. 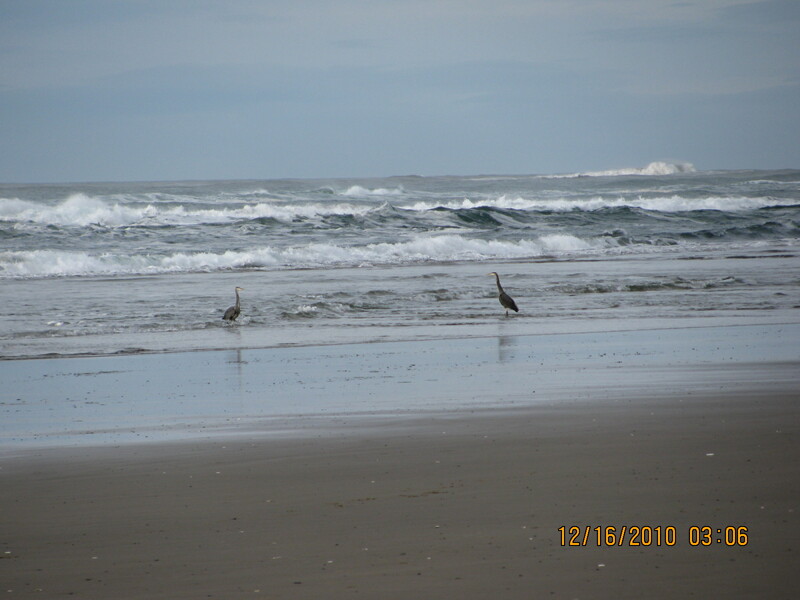 Other birds noted were 26 brown pelicans, American crow, 9 mixed adult and juvenile Western gulls, and 2 mew gulls. 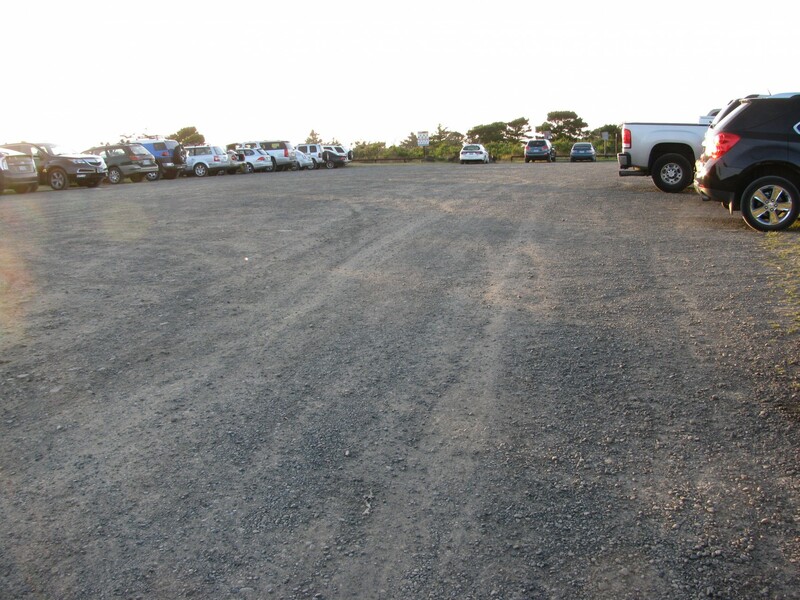 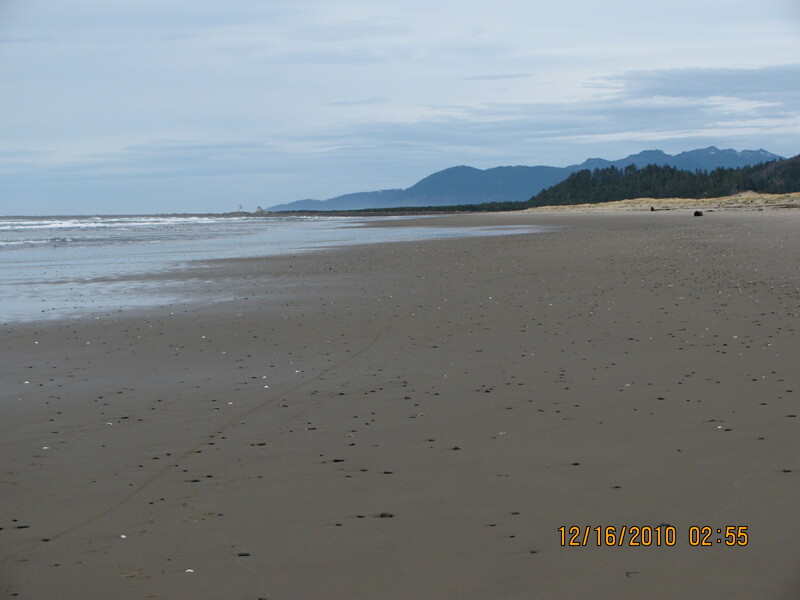 Beach was quite clean and looked relatively unchanged. 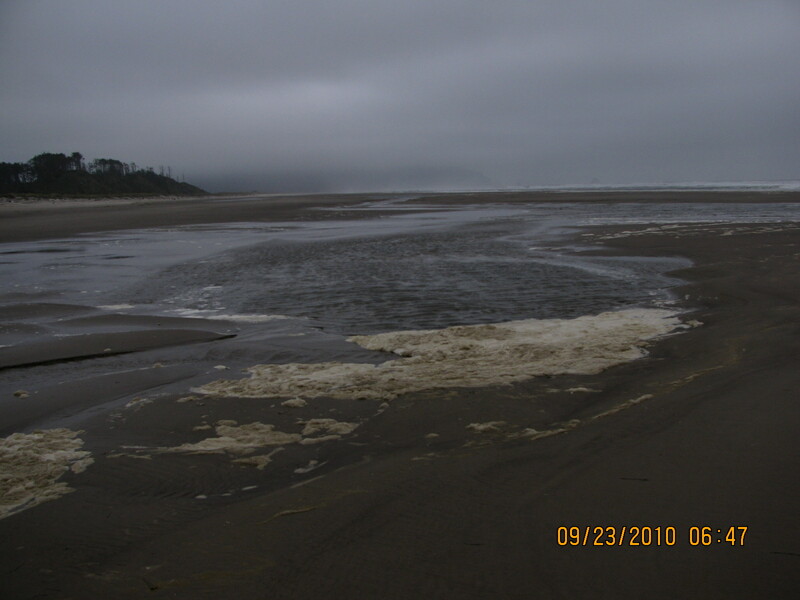 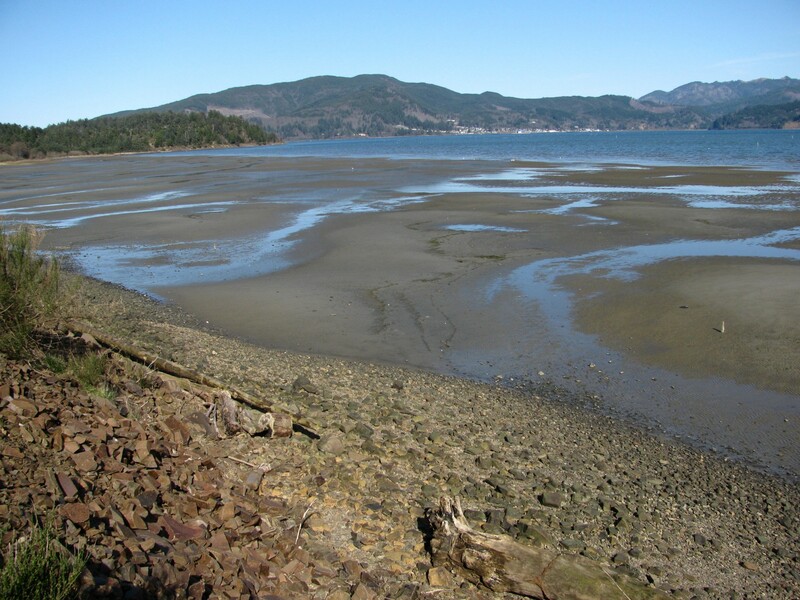 Tide was receding during observation period. 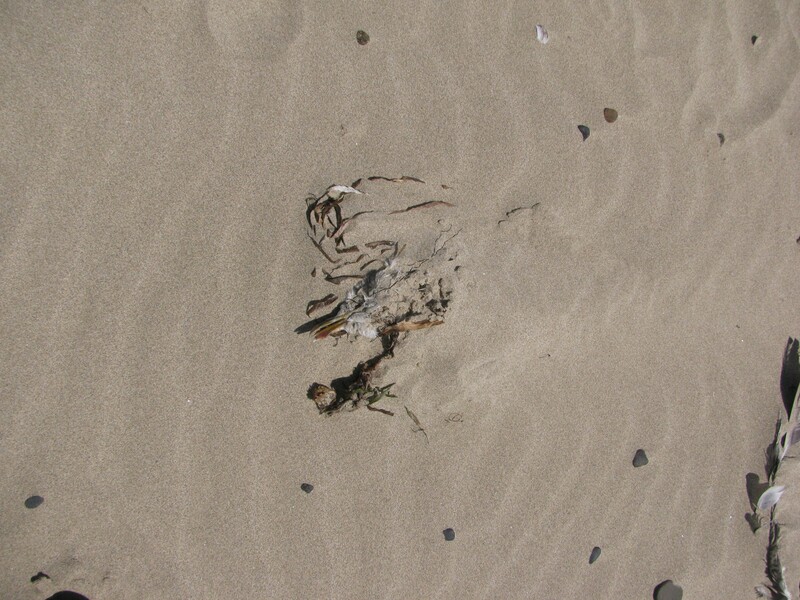 Very little debris noticed. 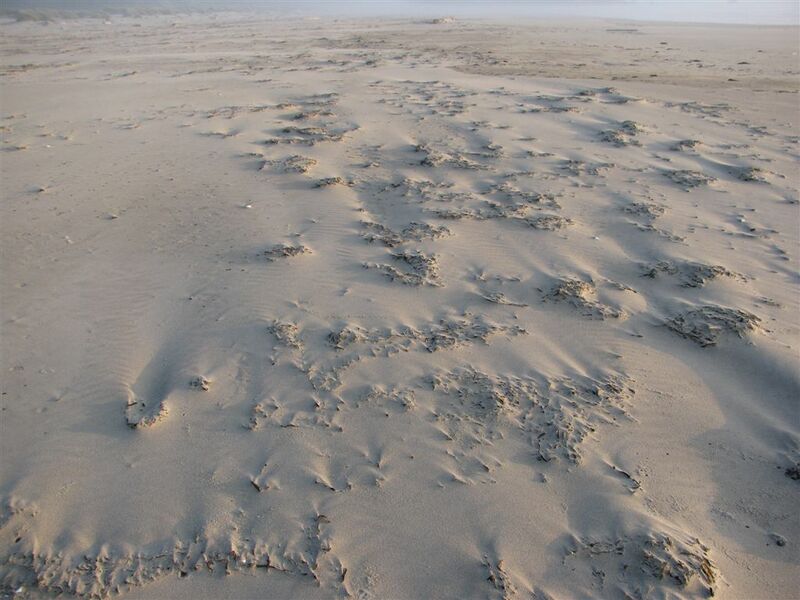 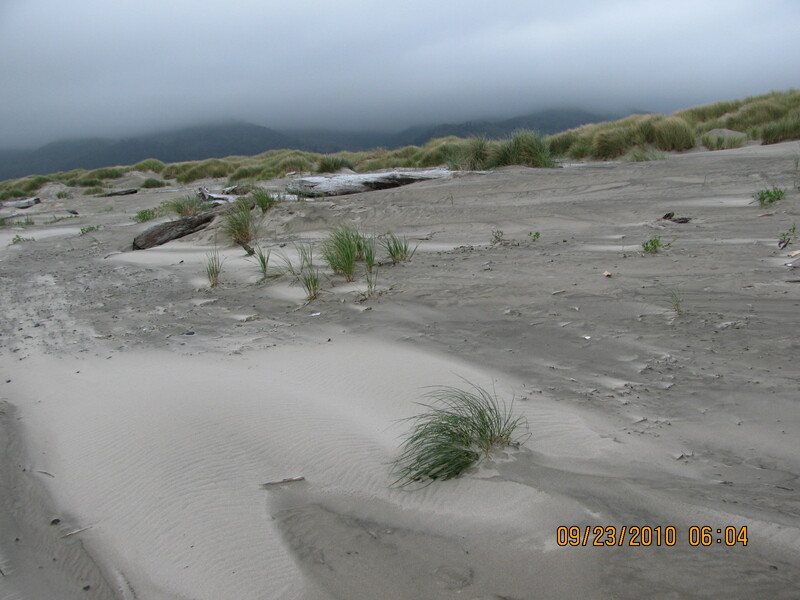 There were small dunes in the sand, formed by recent winds. 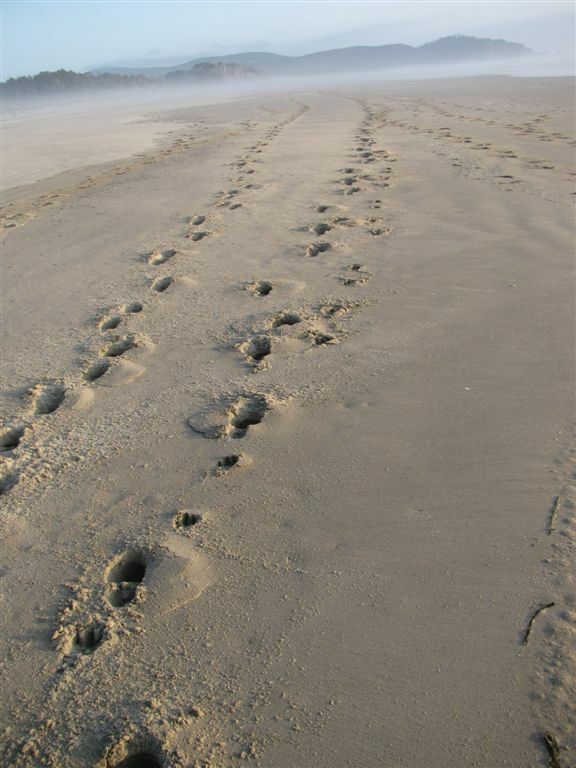 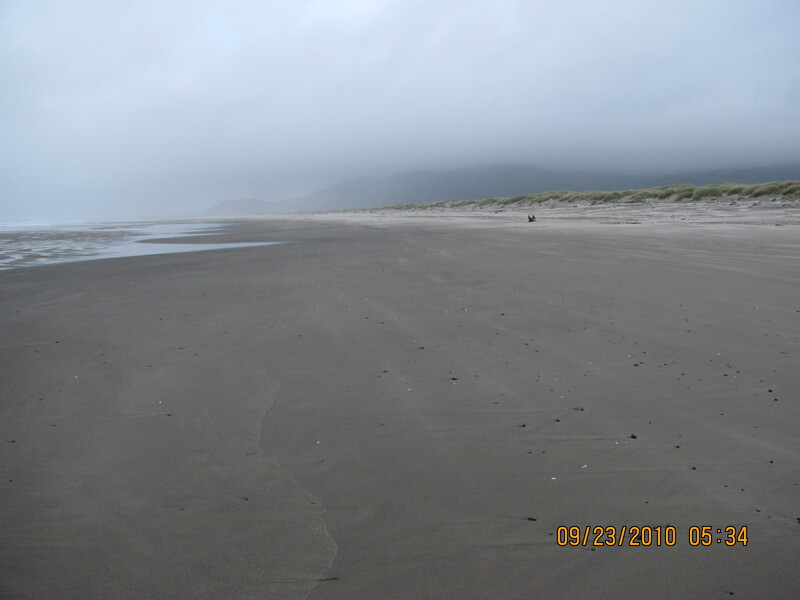 A generally quiet day with no noticeable changes on the beach from last visit in November of 2002. 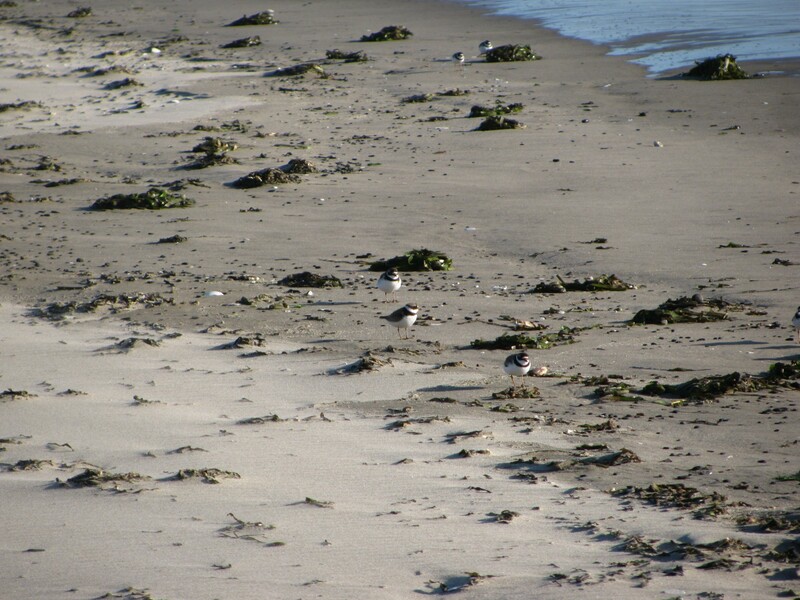 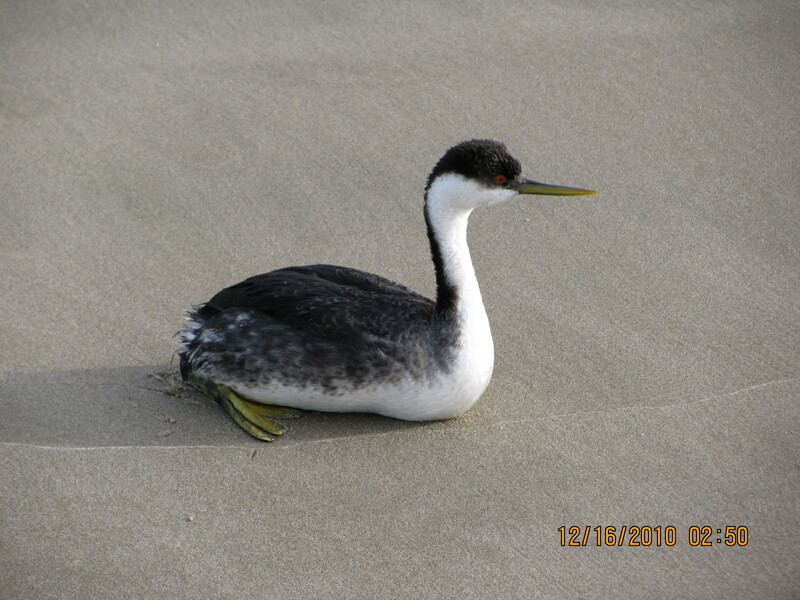 Plenty of shorebirds and two diving ducks with problems. 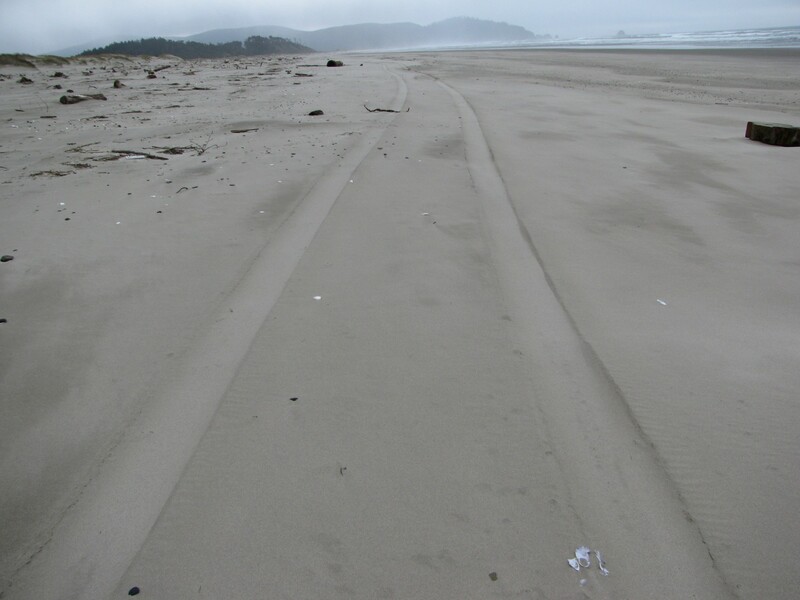 Driftline content and debris was light. 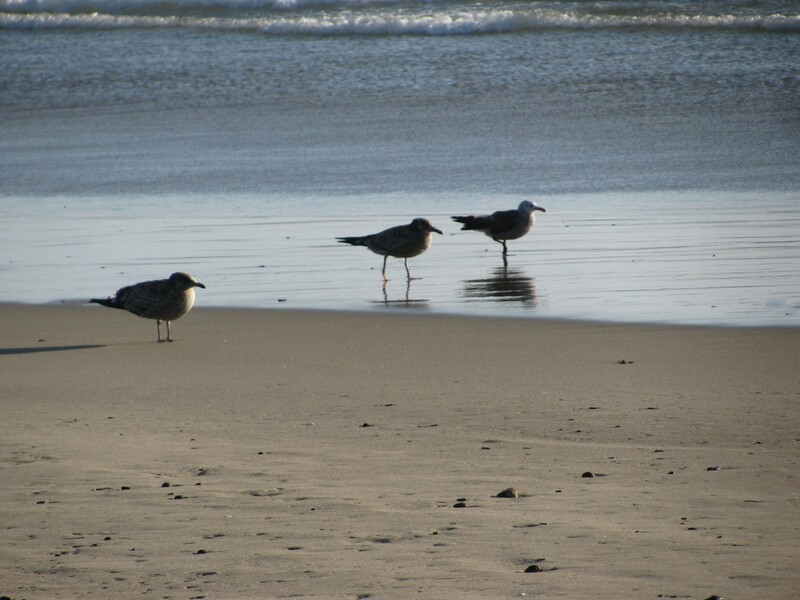 A beautiful, sunny, Thanksgiving Day walk. 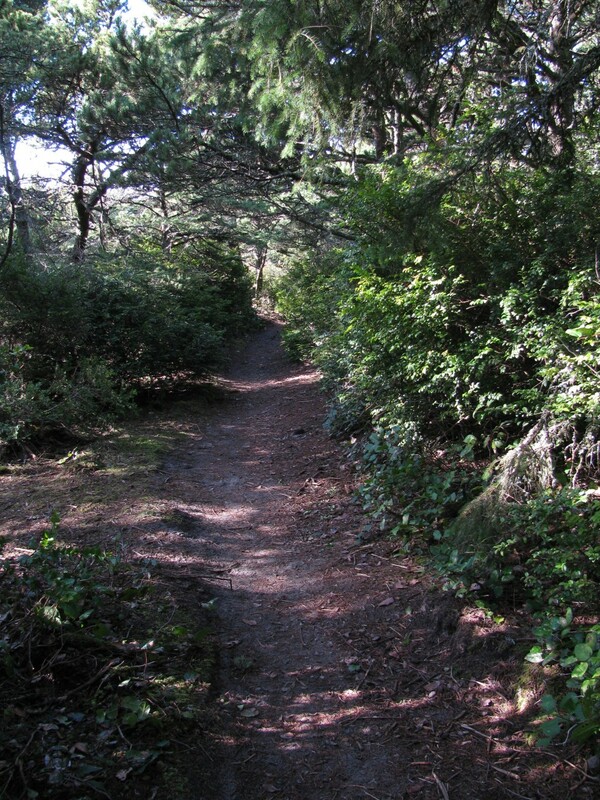 Mile 288 seemed unchanged from last walk. 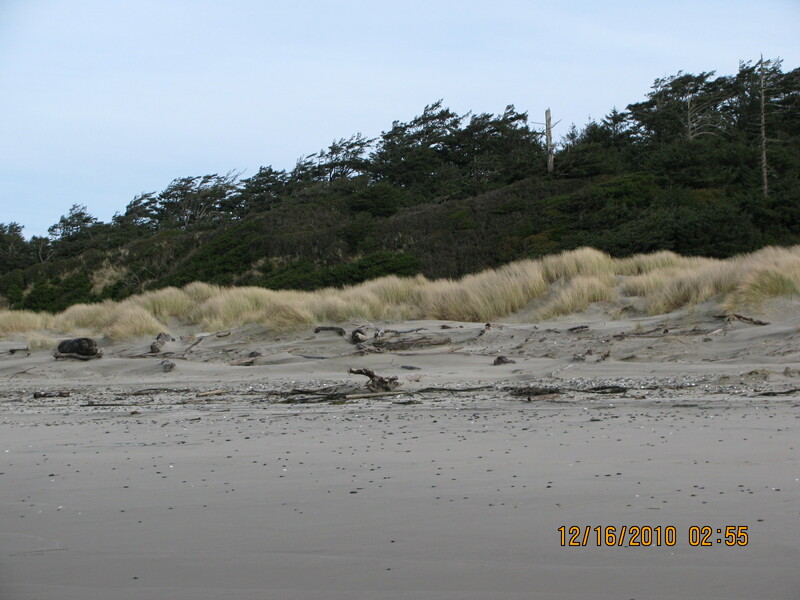 No significant debris and little bird/animal life noted. 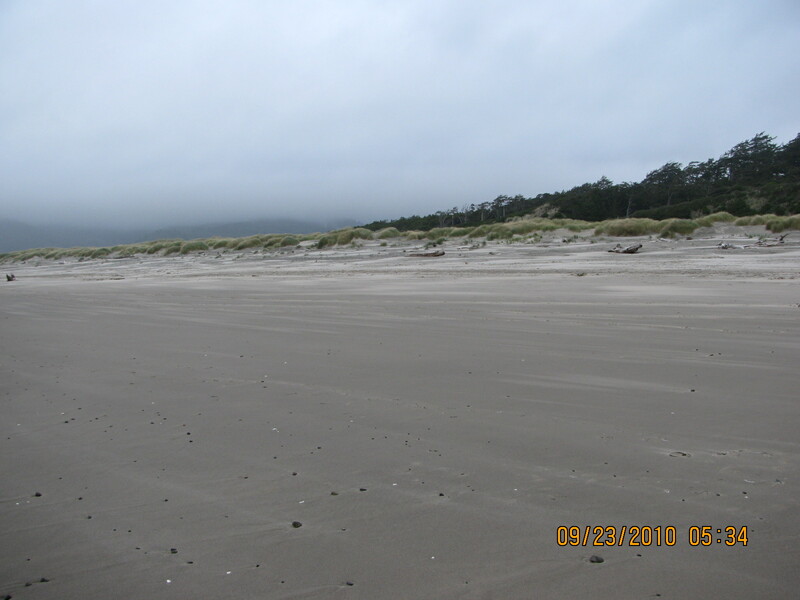 Beach continues to be peaceful, calm, and unsullied. 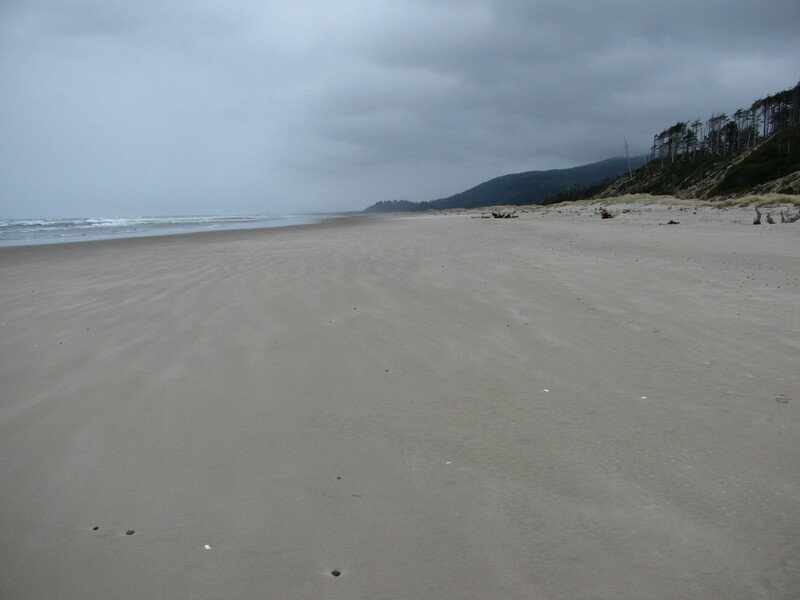 Beach was very quiet. 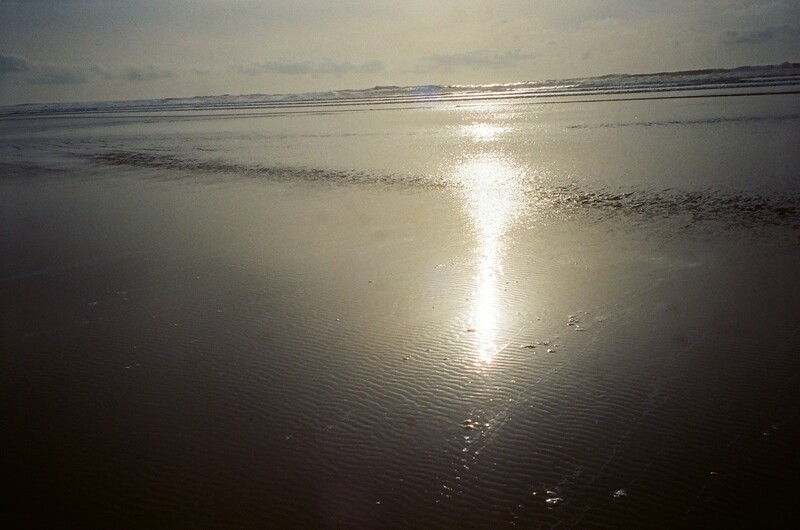 Litter observed was light. 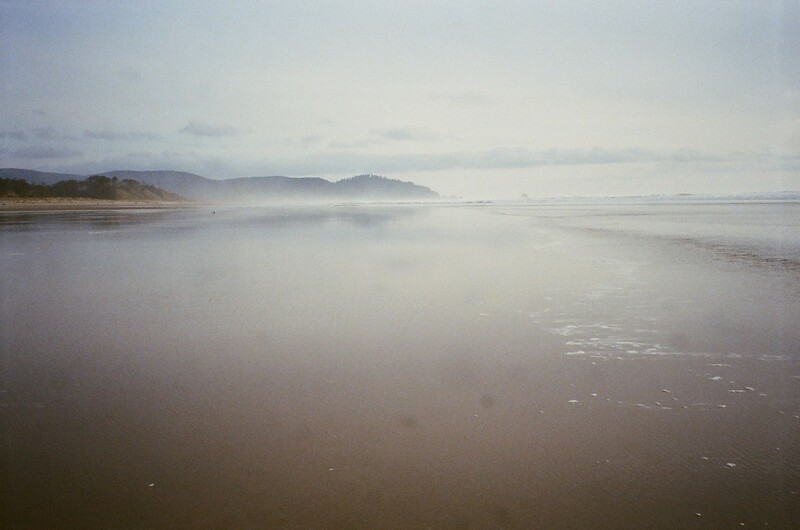 Nothing special to note. 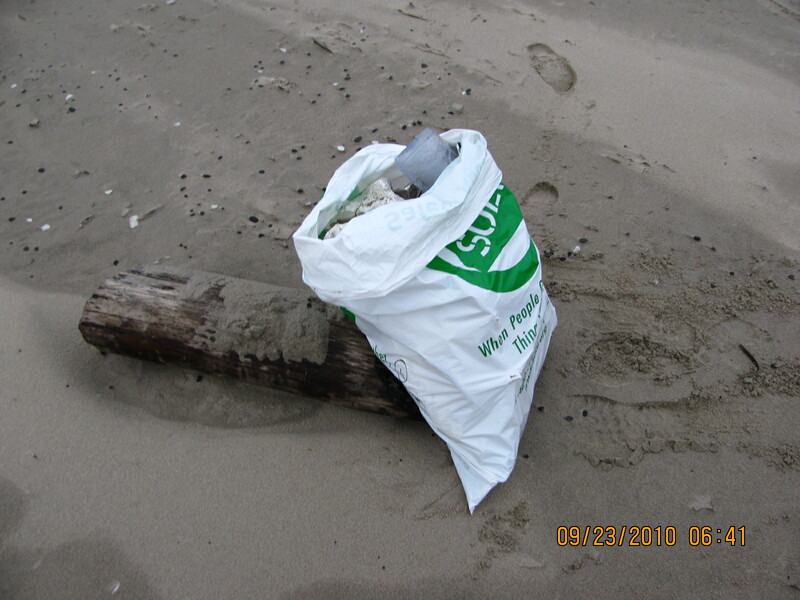 Litter was very light and beach was generally very clean. 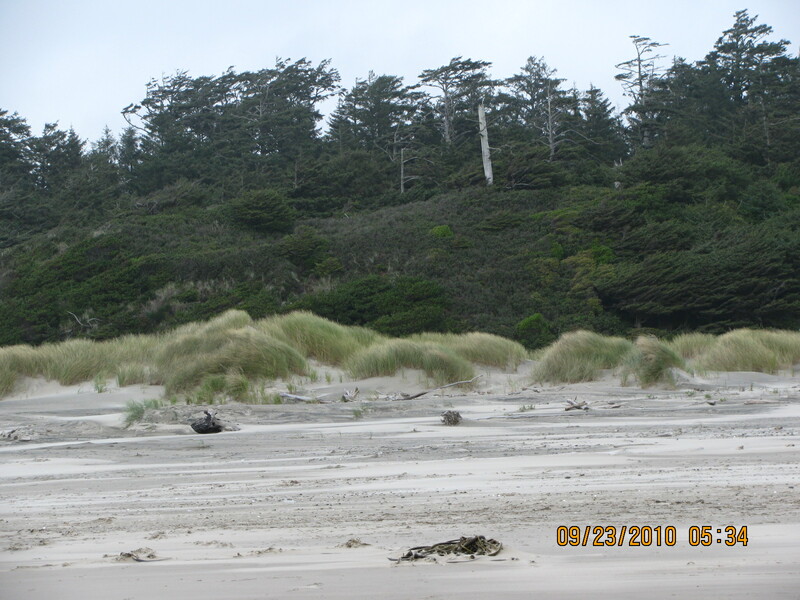 No noticeable changes from last visit. 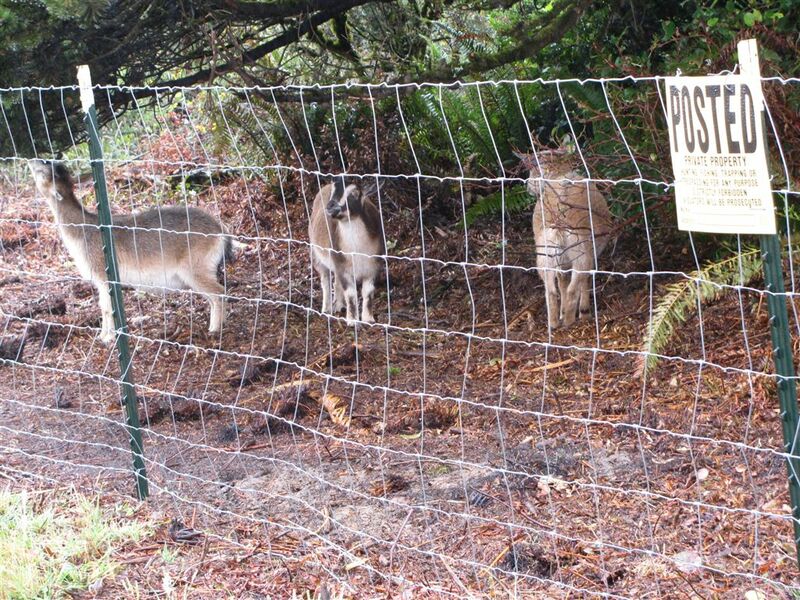 Nothing unusual to report. 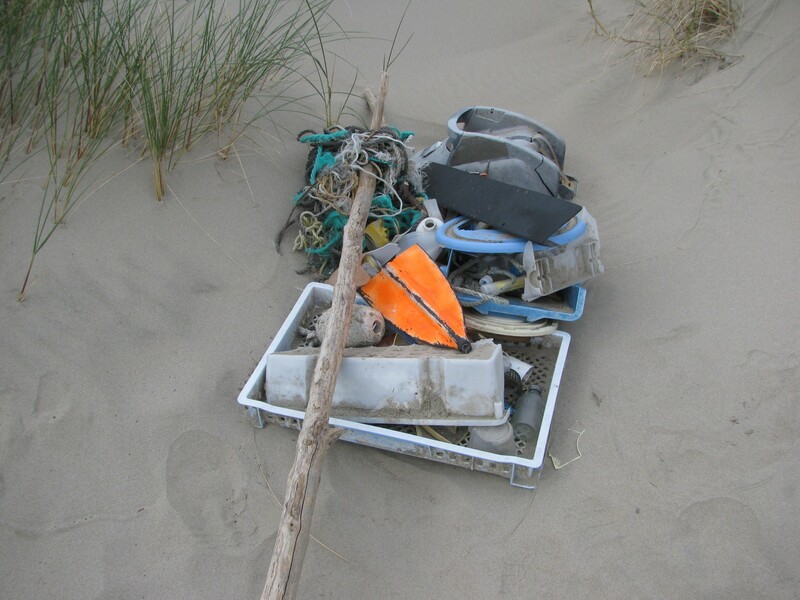 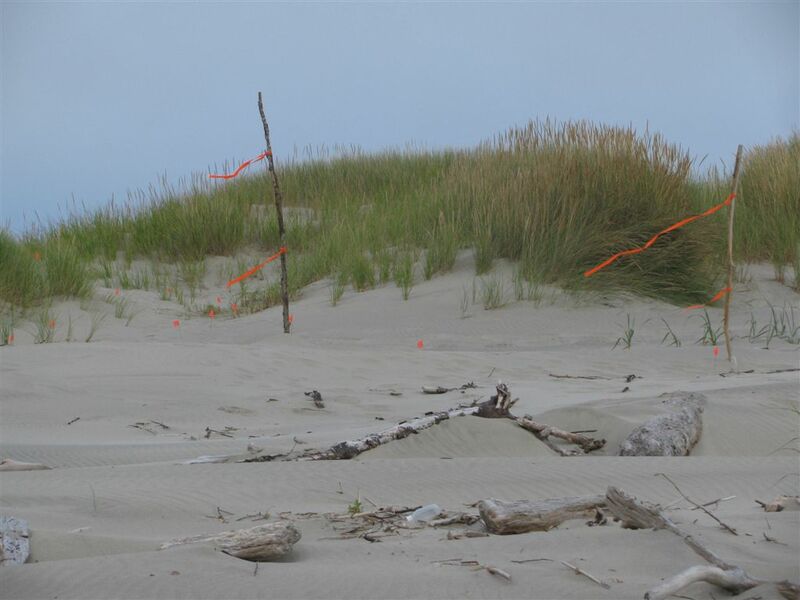 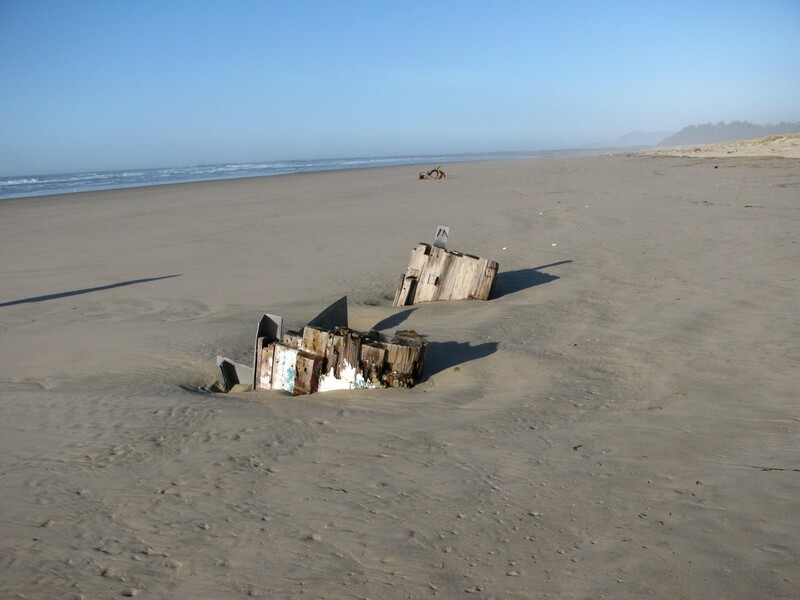 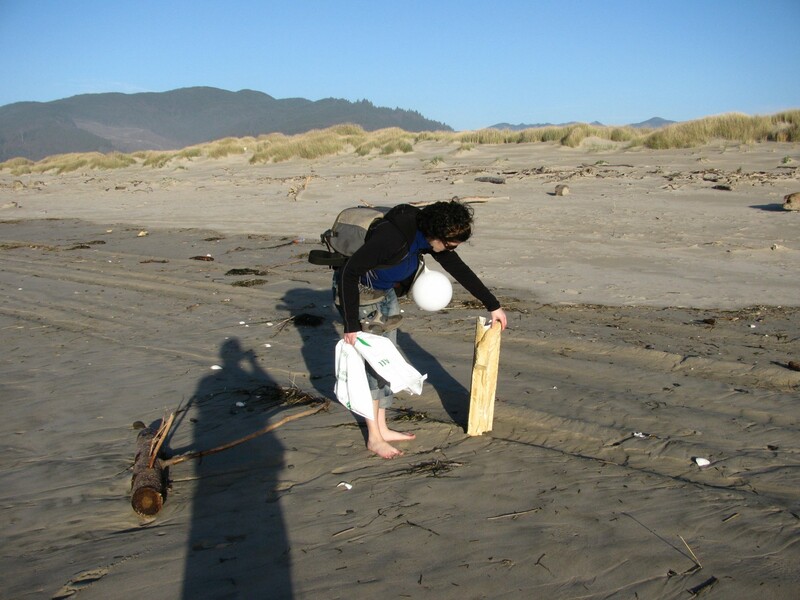 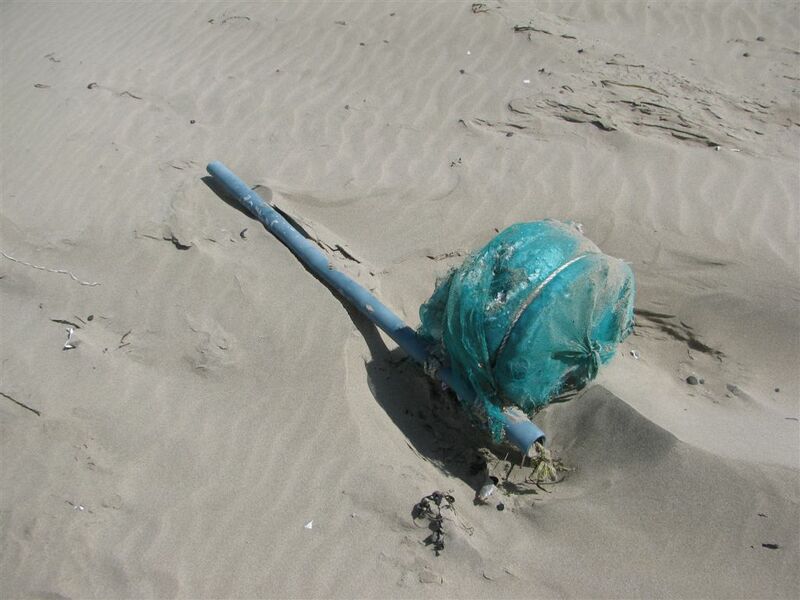 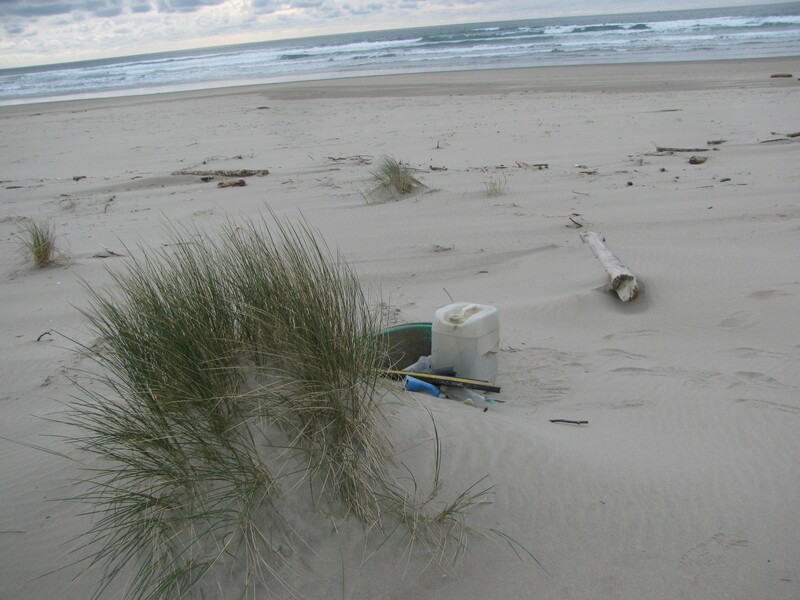 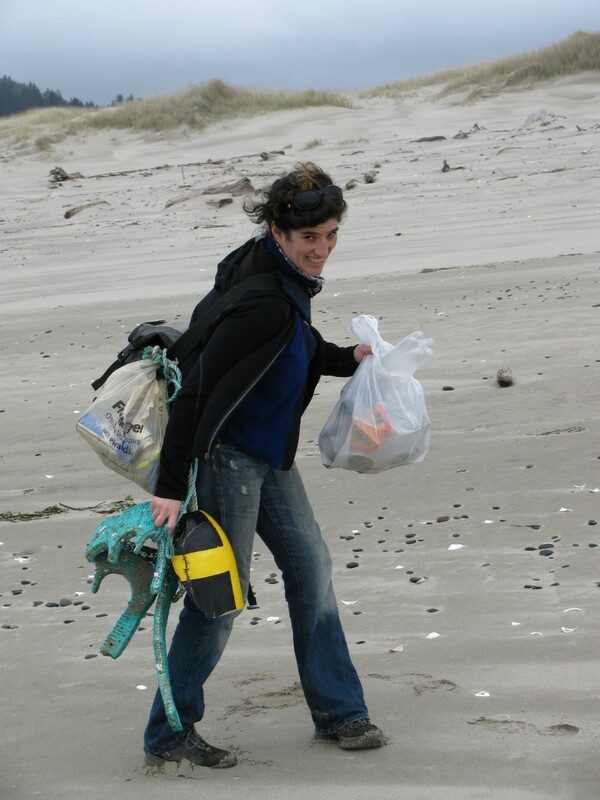 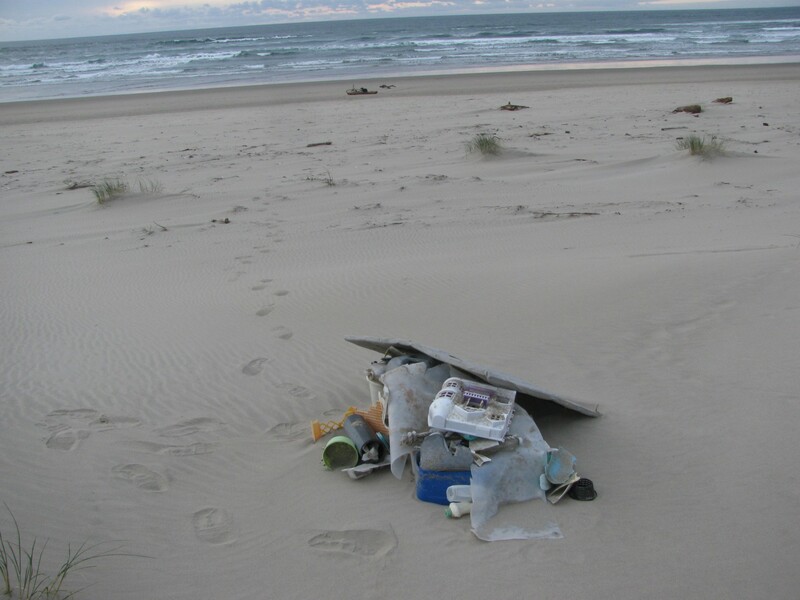 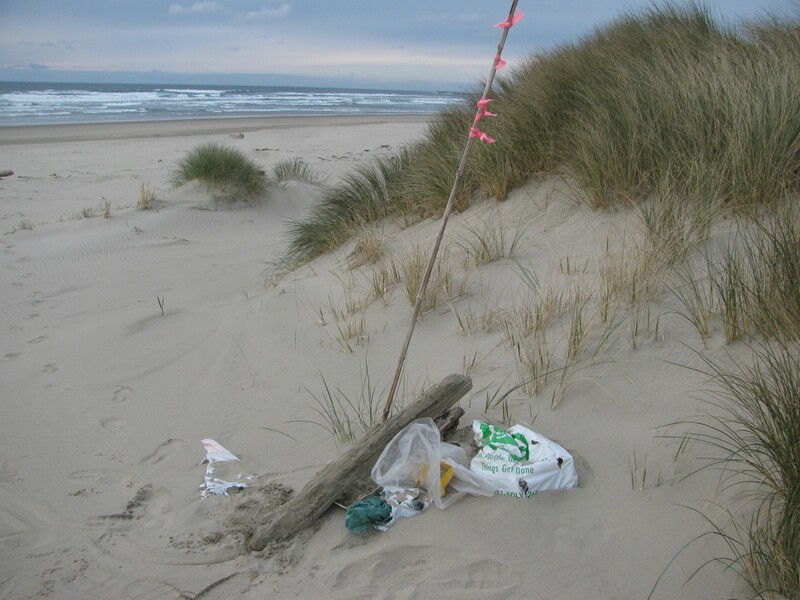 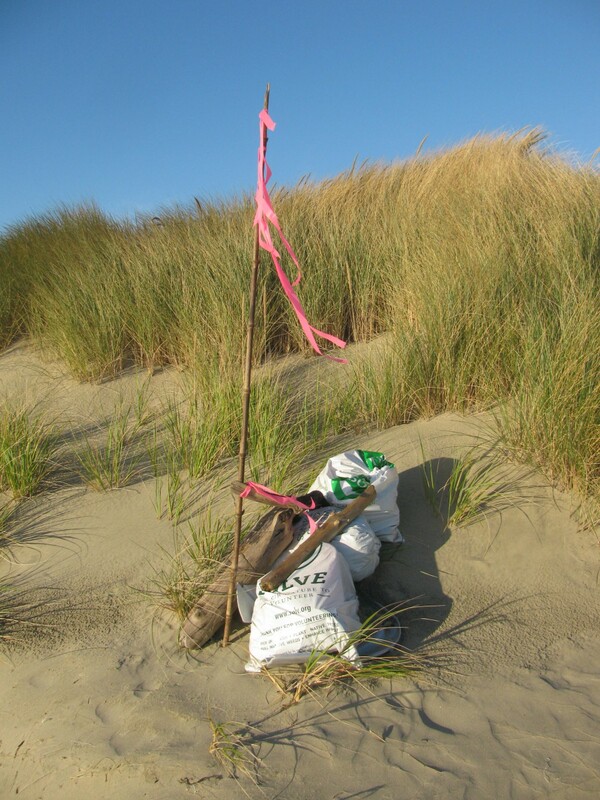 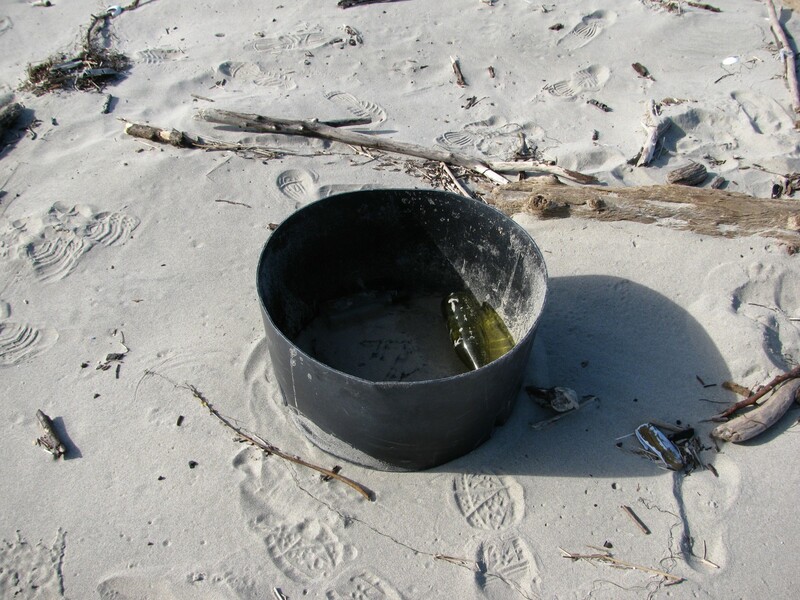 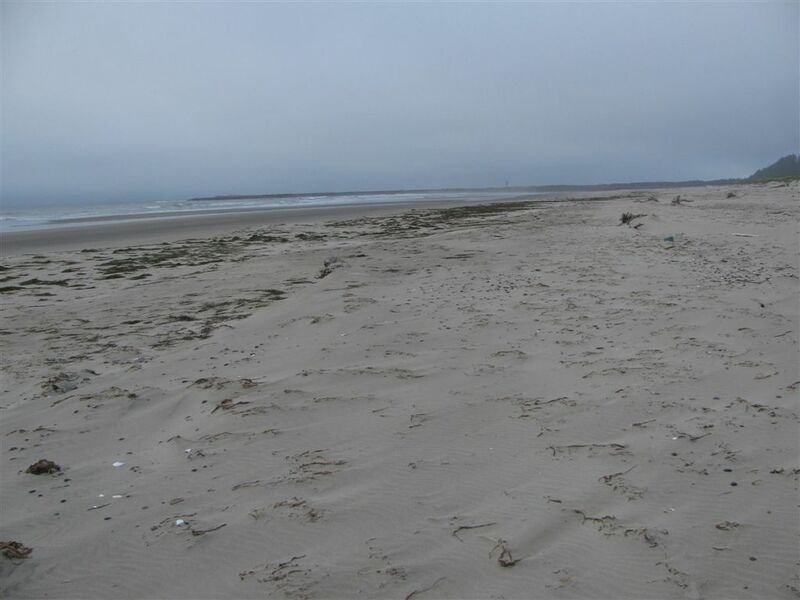 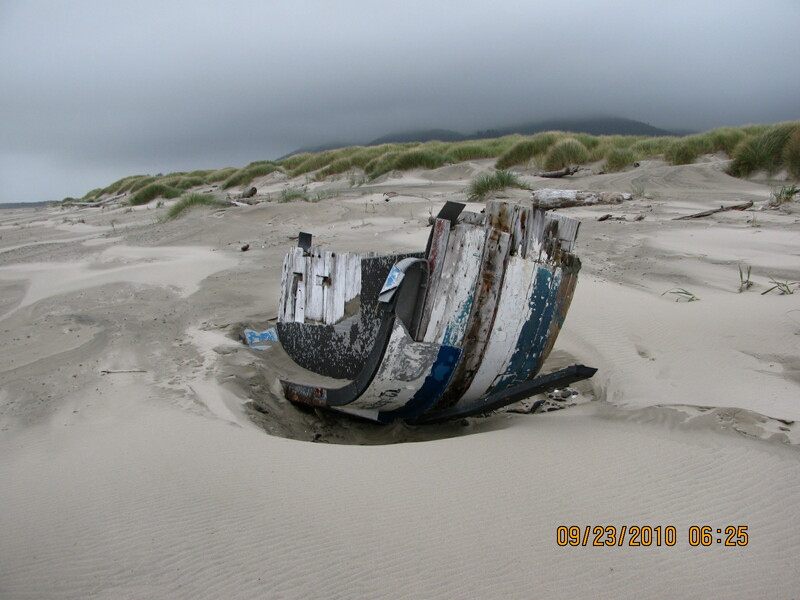 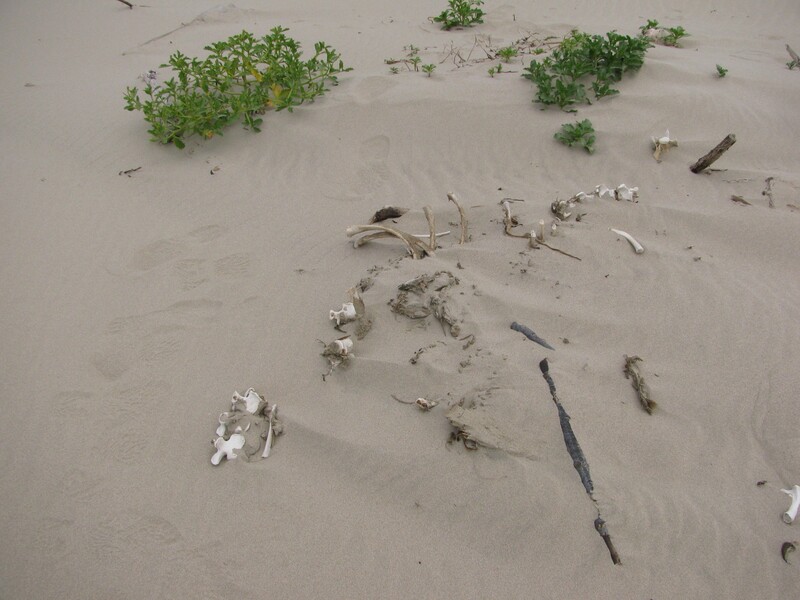 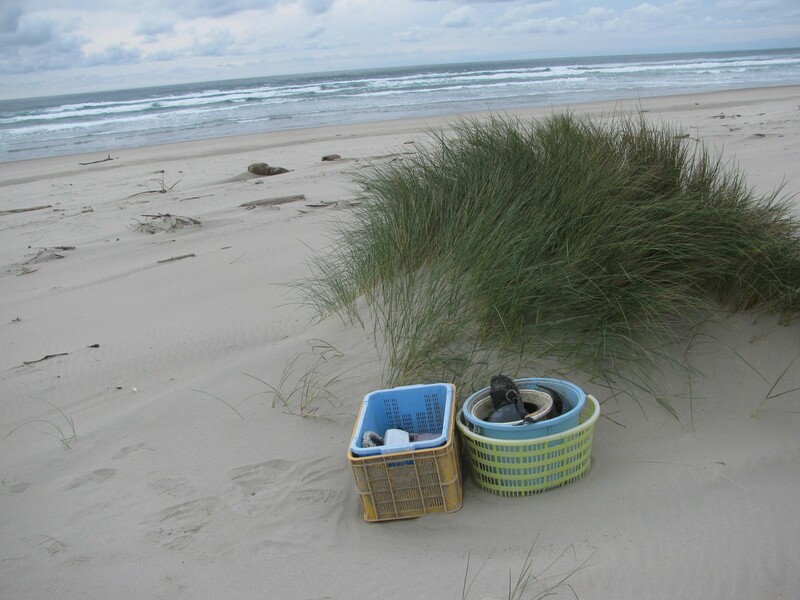 Litter was light, mostly in the dunes or well back of the high tide line. 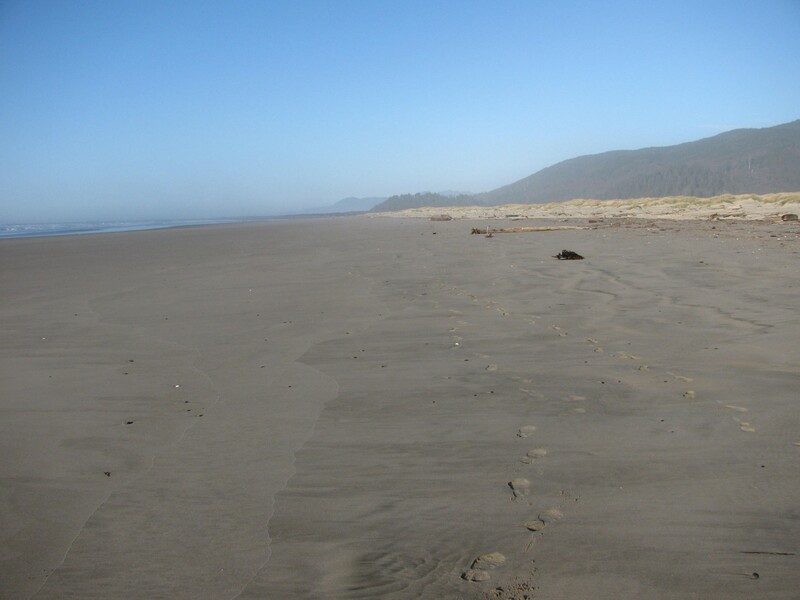 Beach looked normal on a gorgeous spring day. 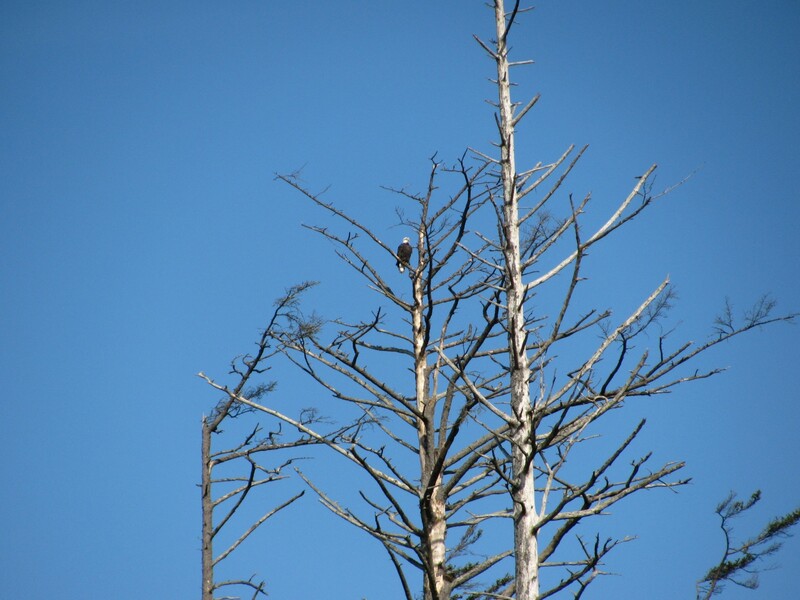 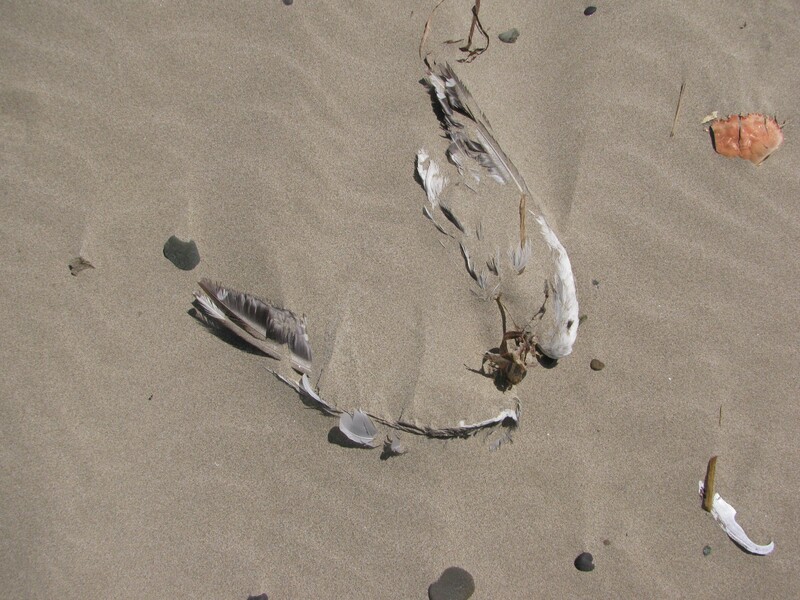 Light debris plus one magnificent adult bald eagle that landed on the beach. 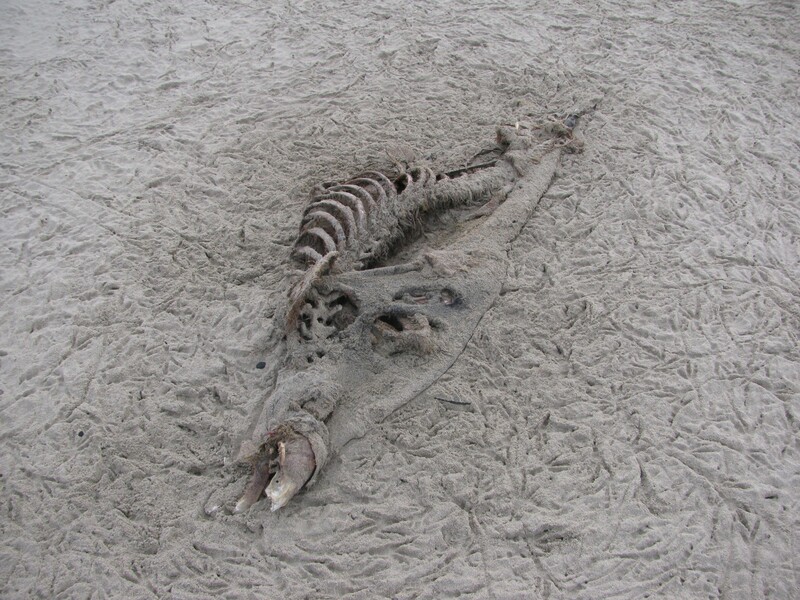 Nothing unusual on beach. 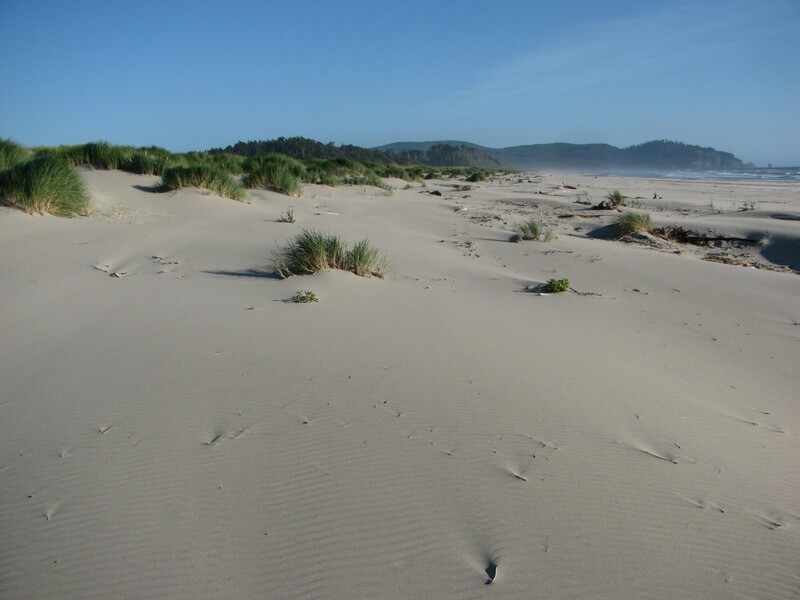 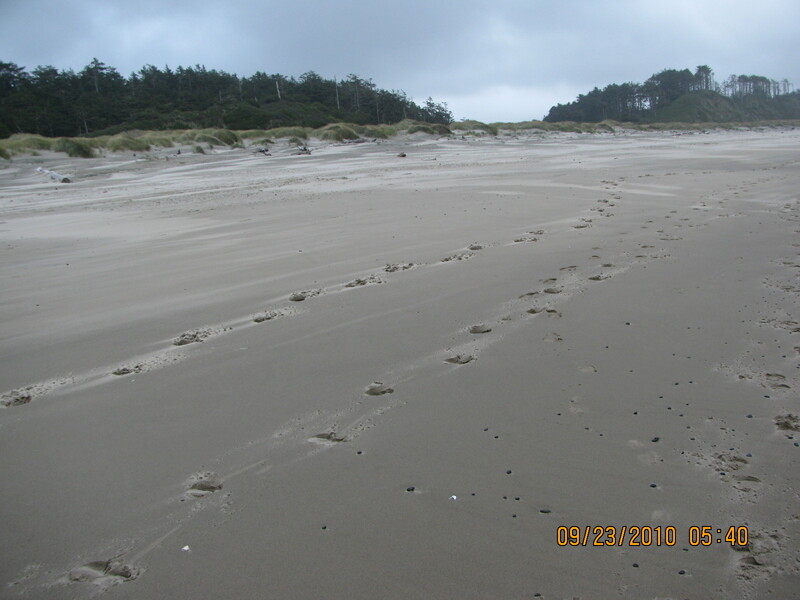 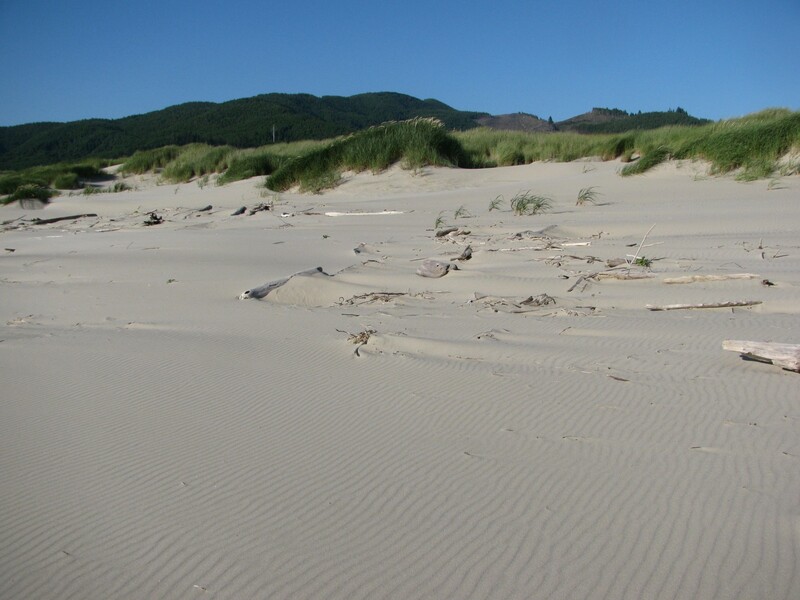 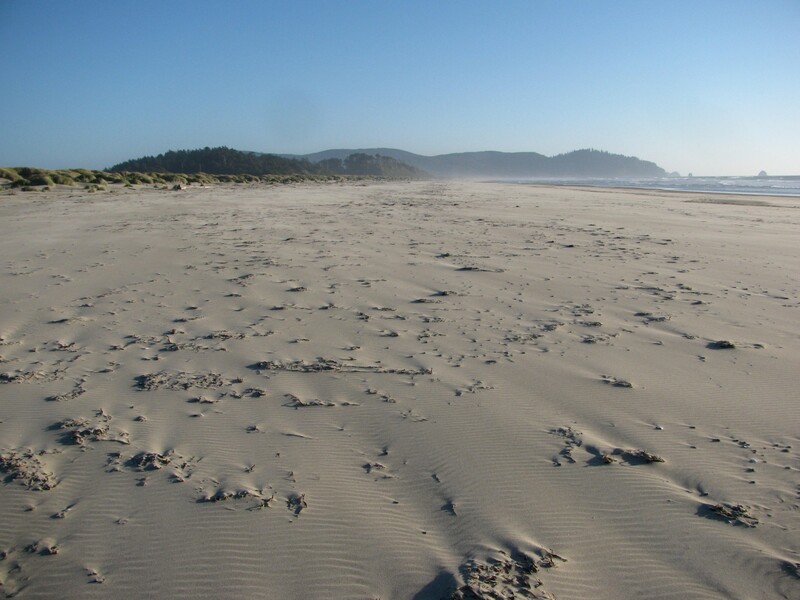 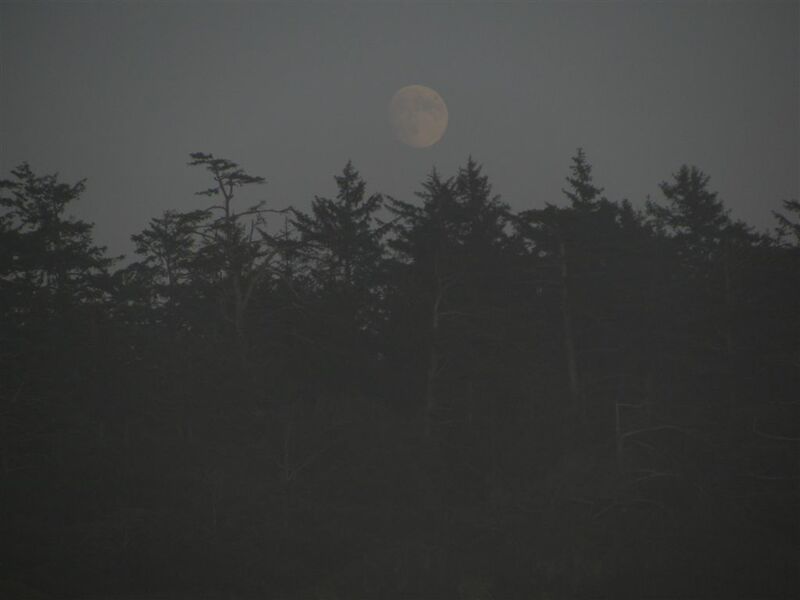 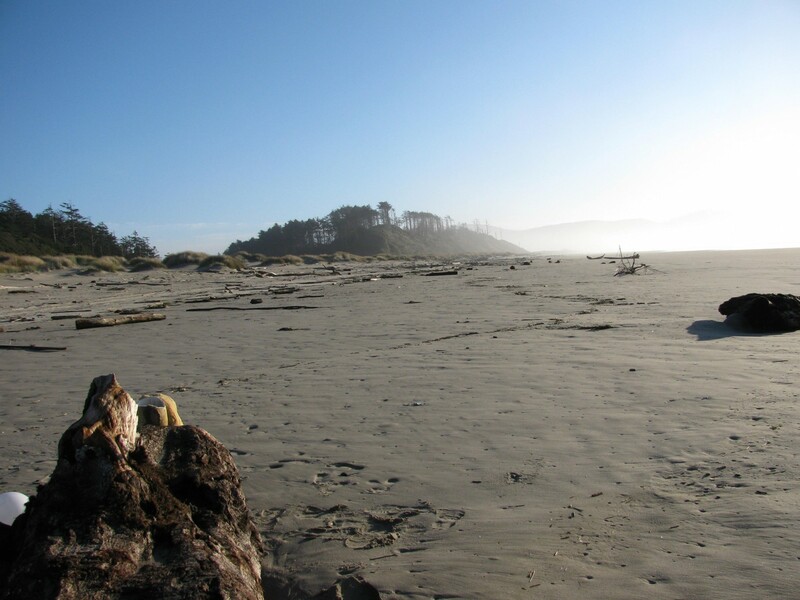 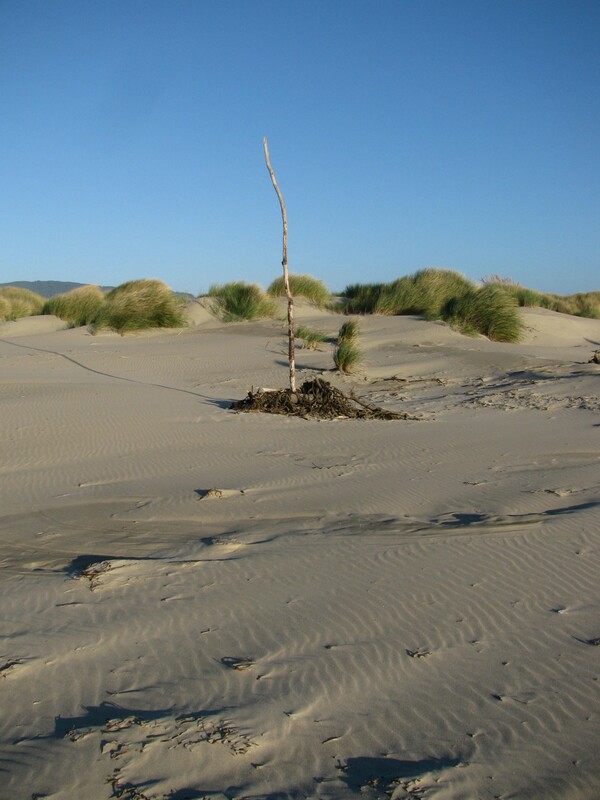 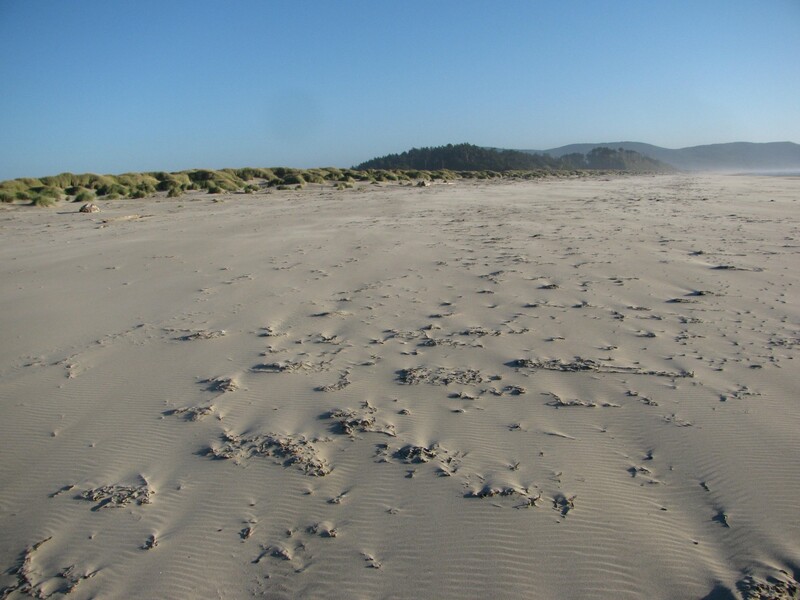 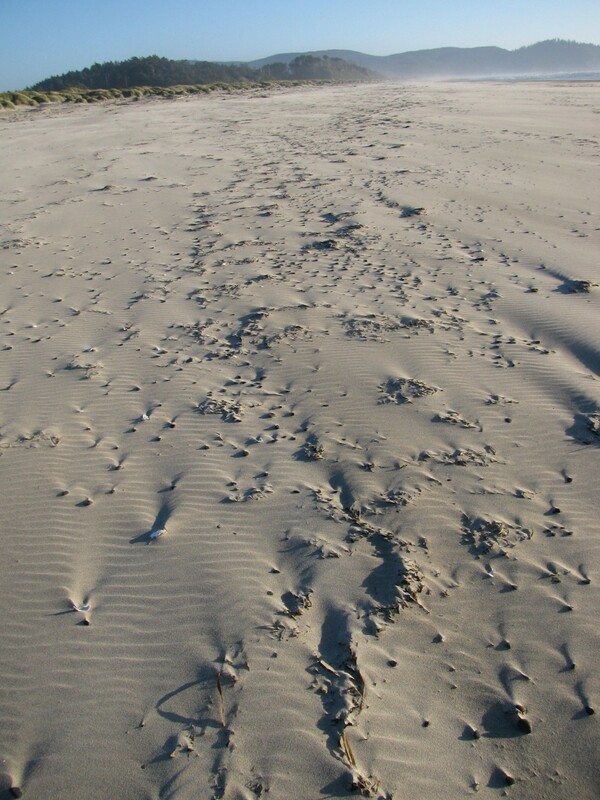 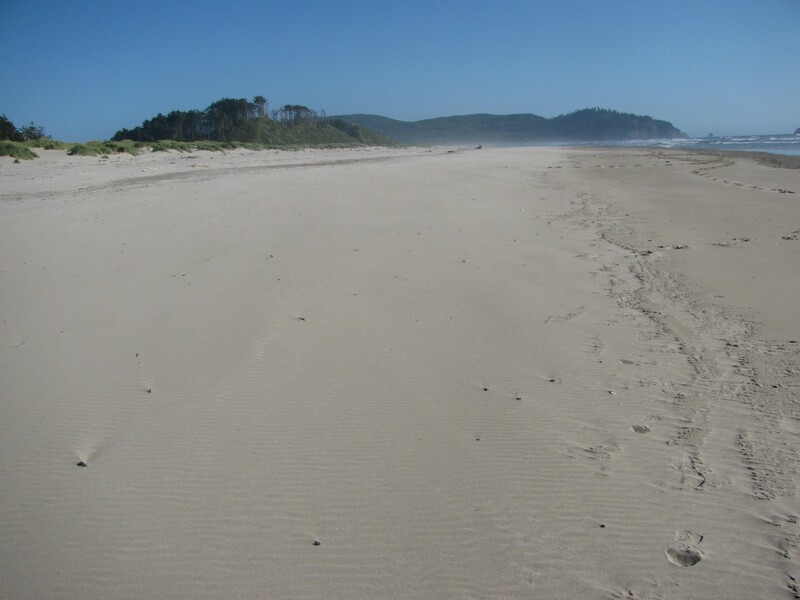 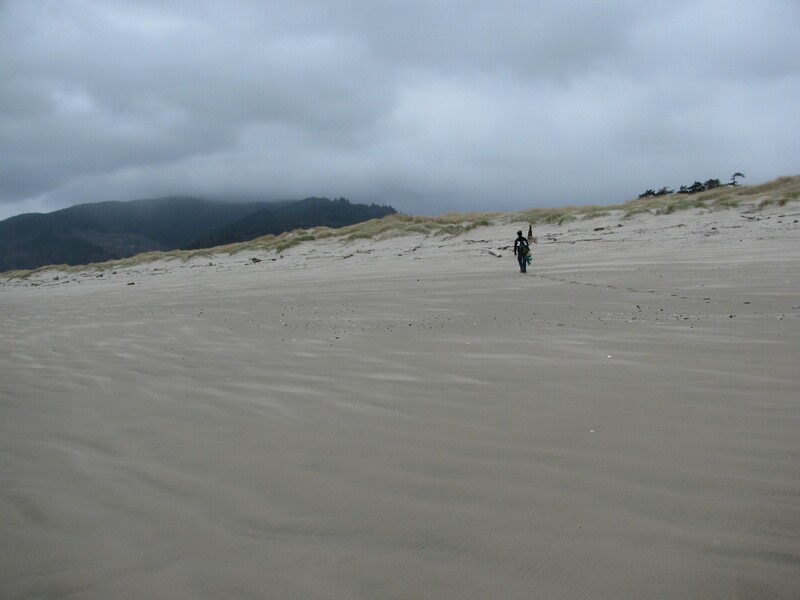 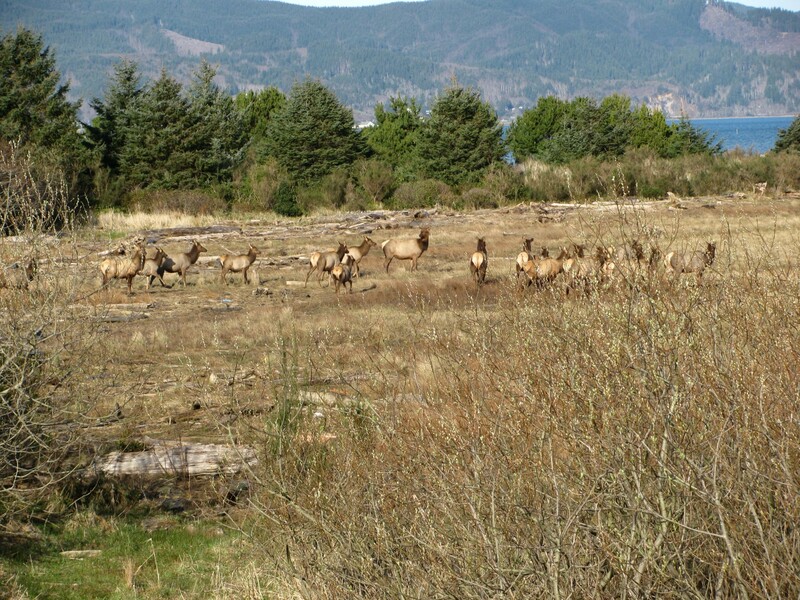 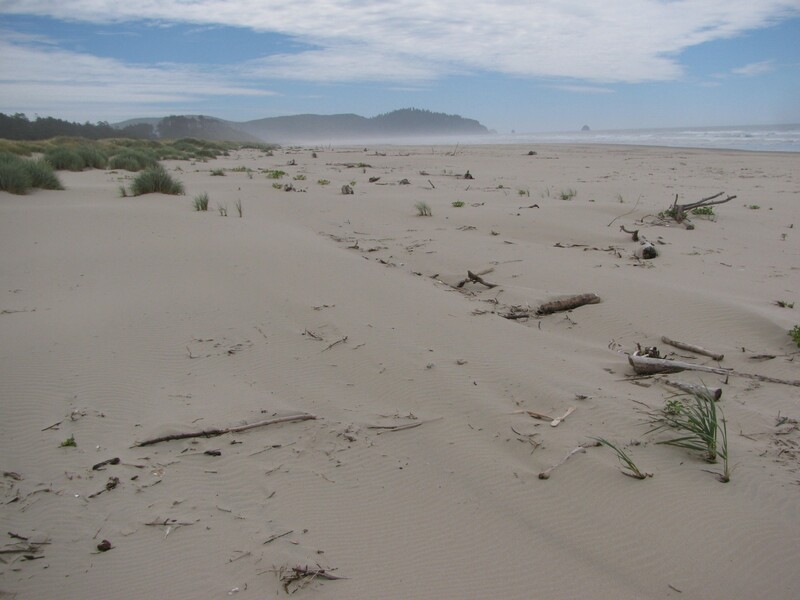 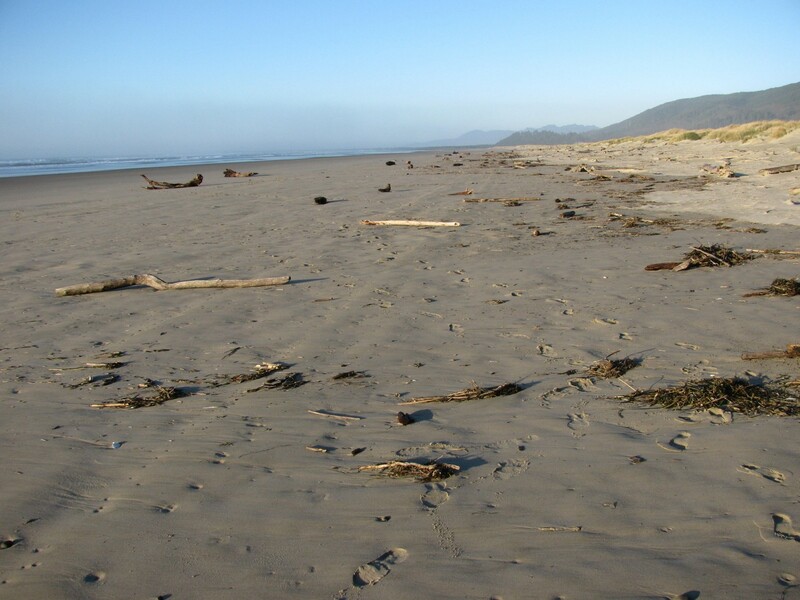 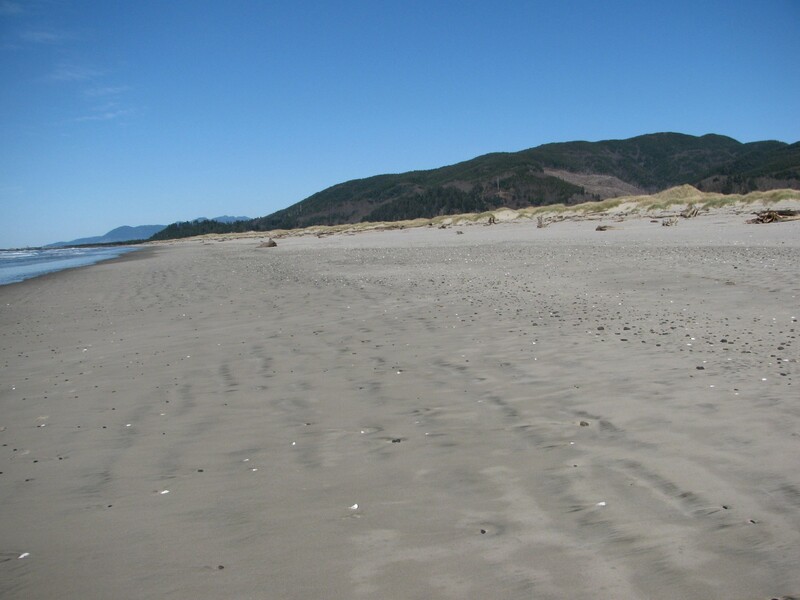 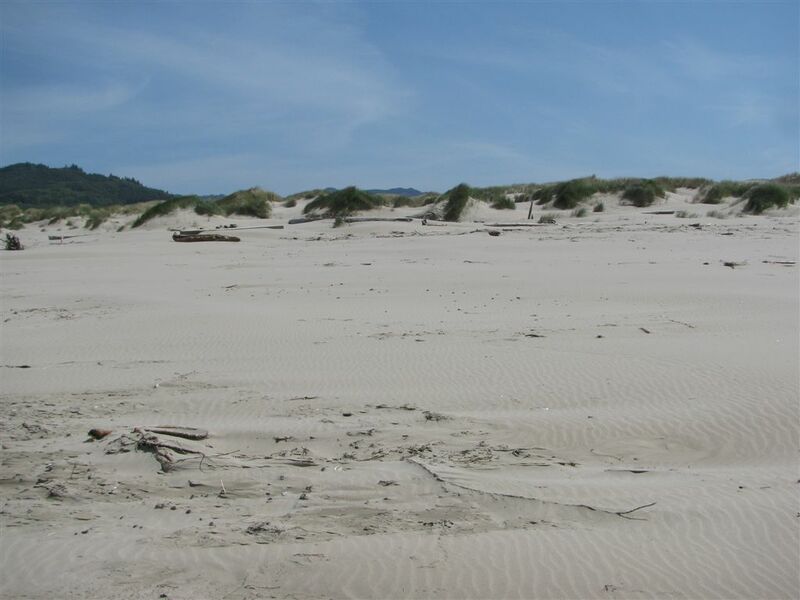 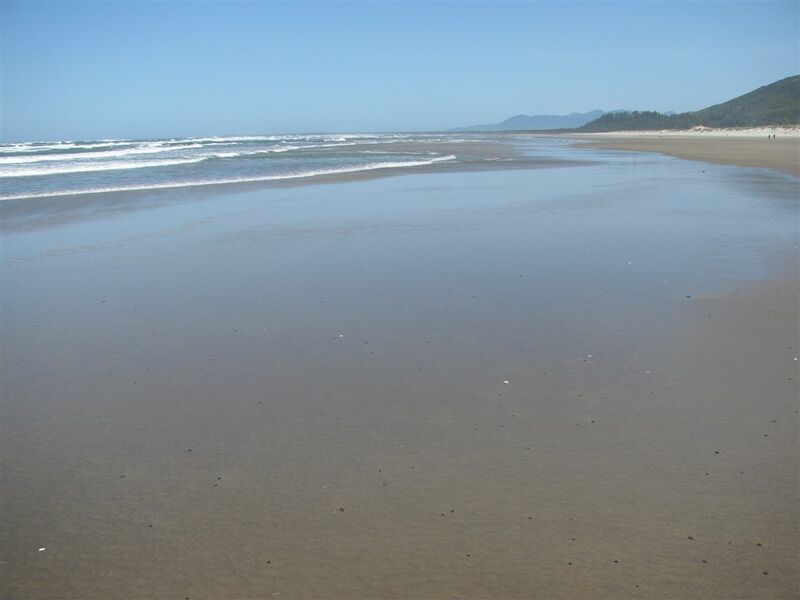 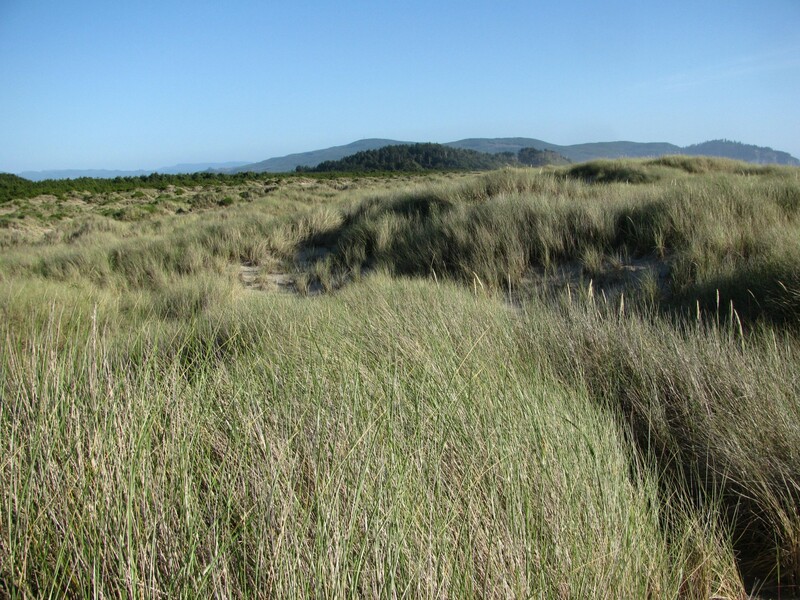 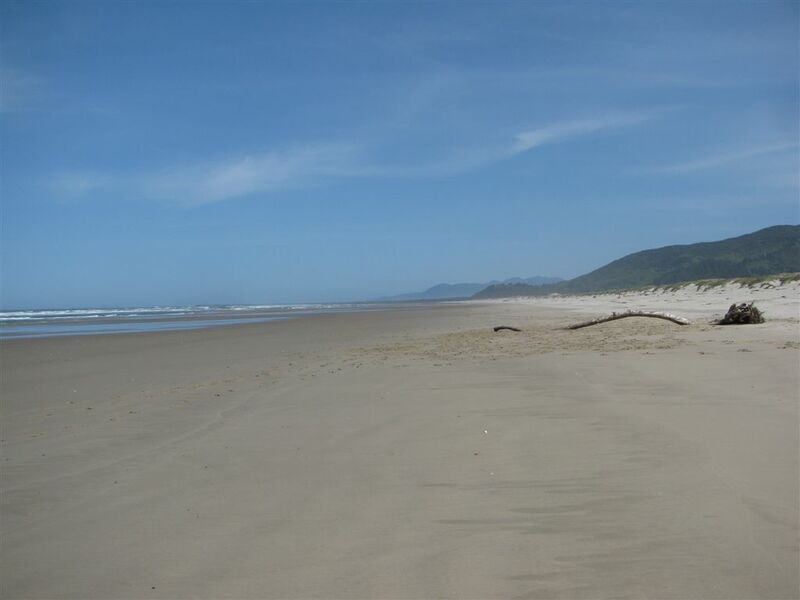 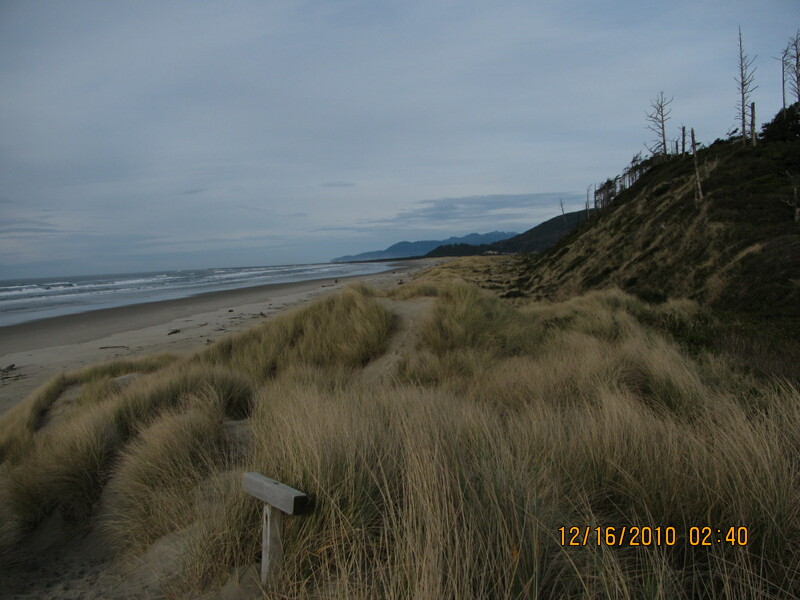 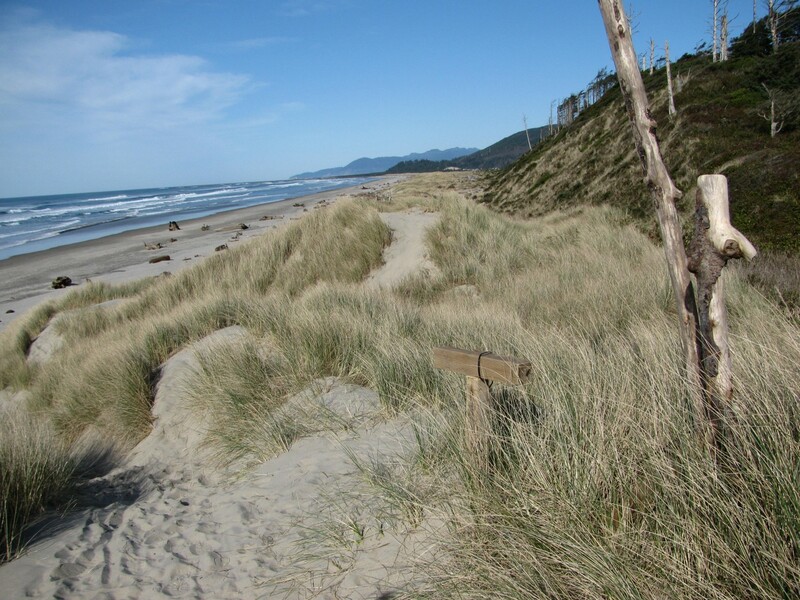 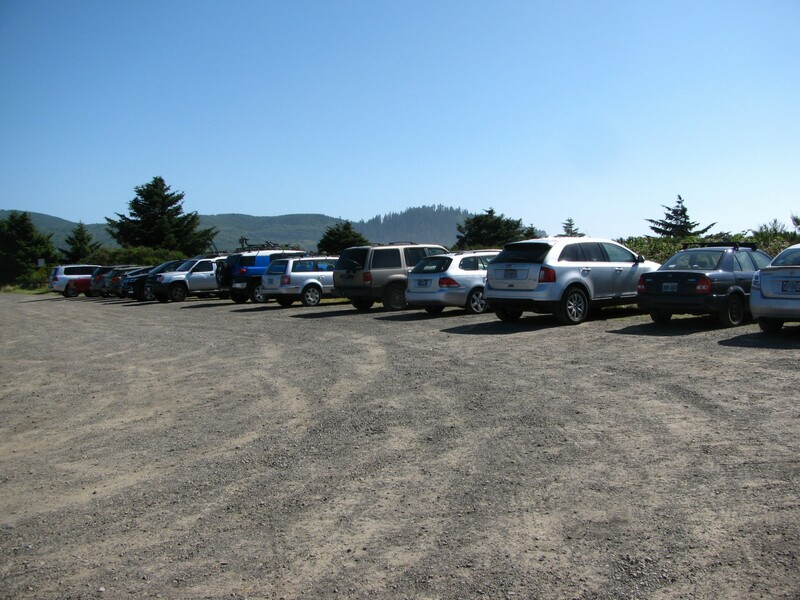 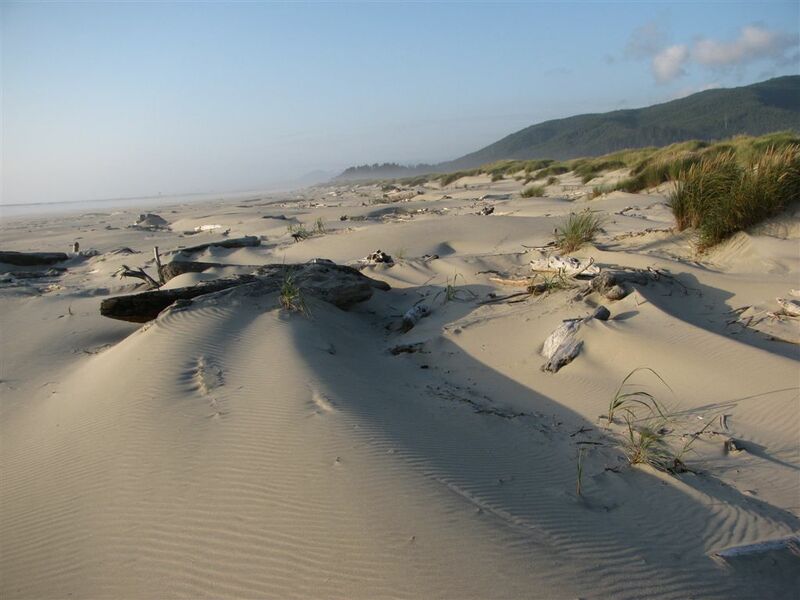 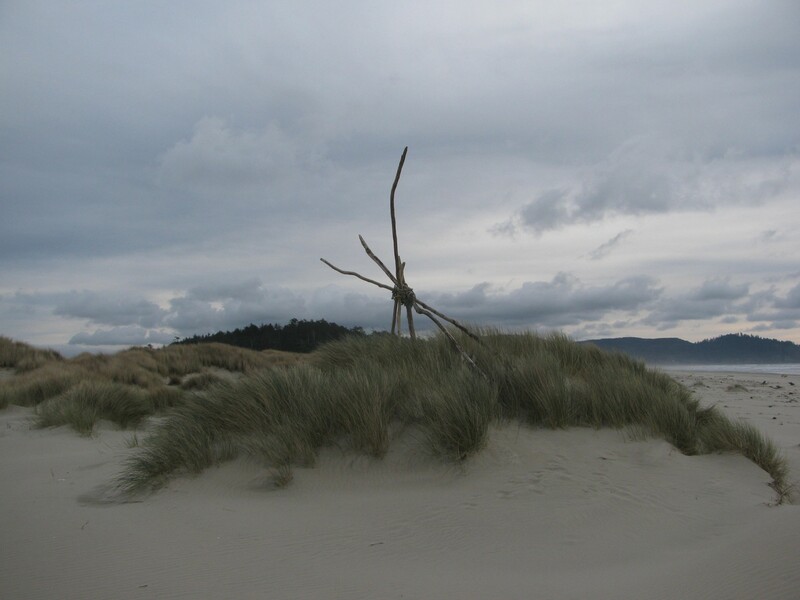 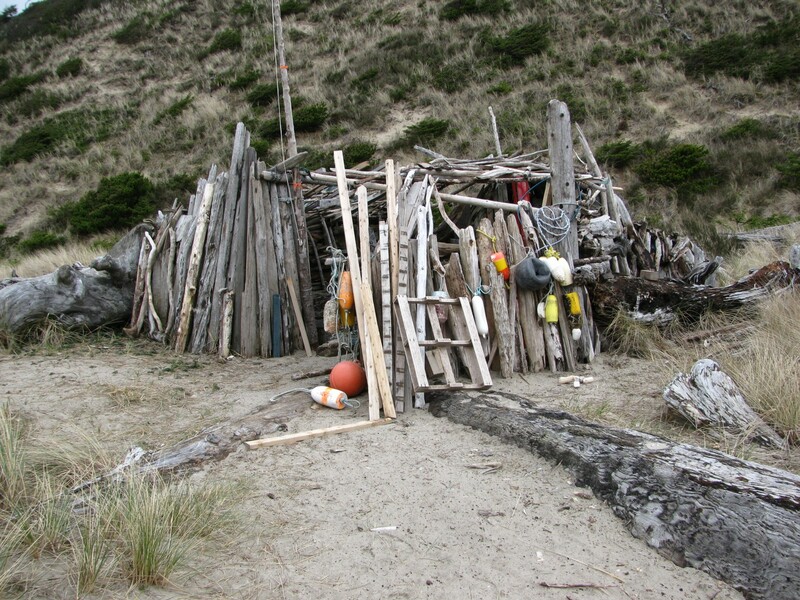 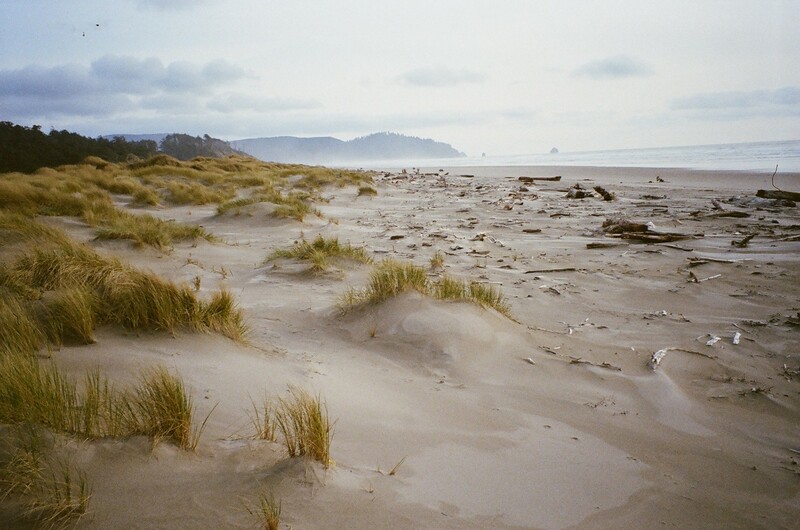 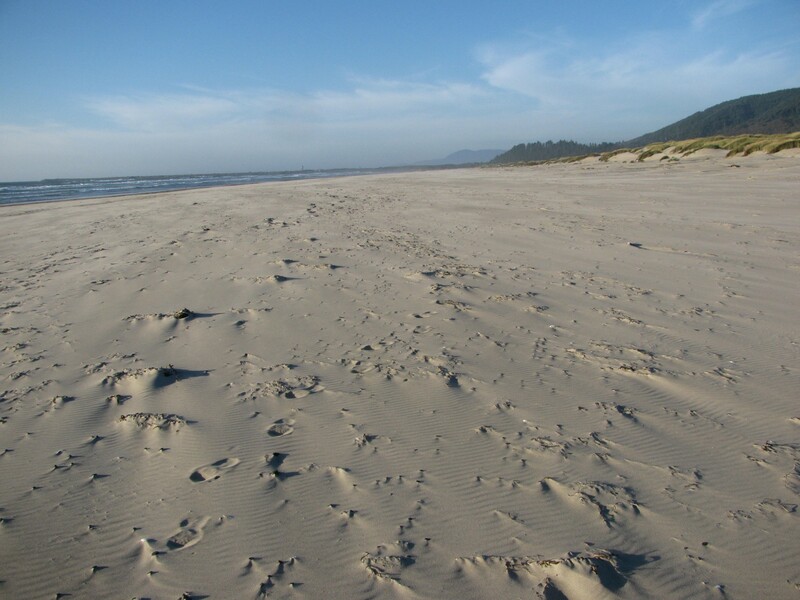 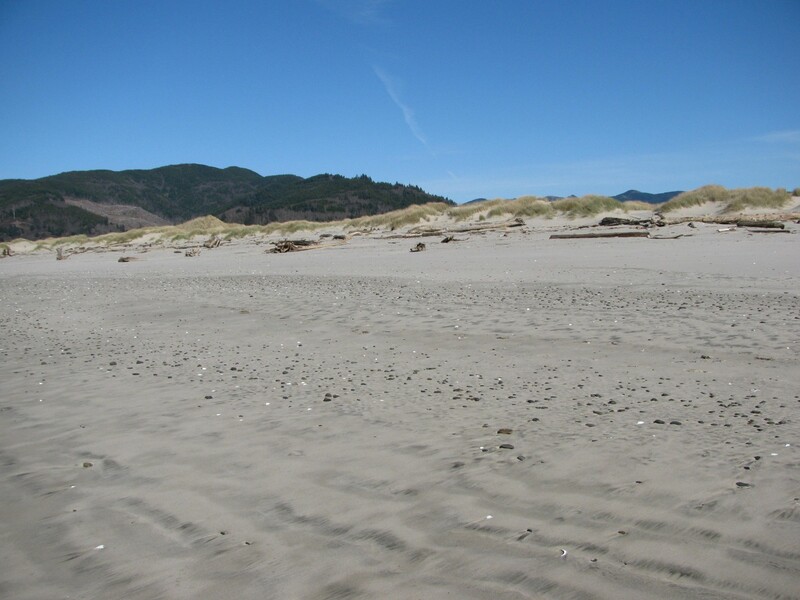 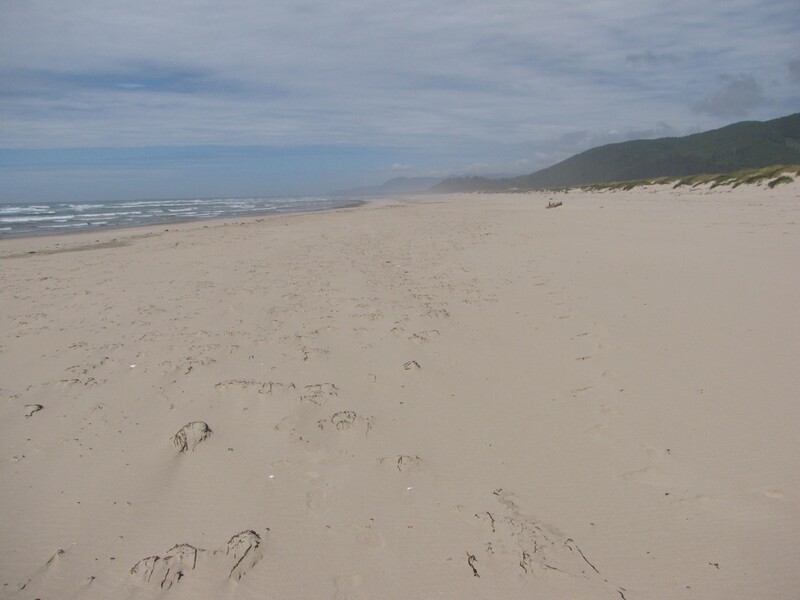 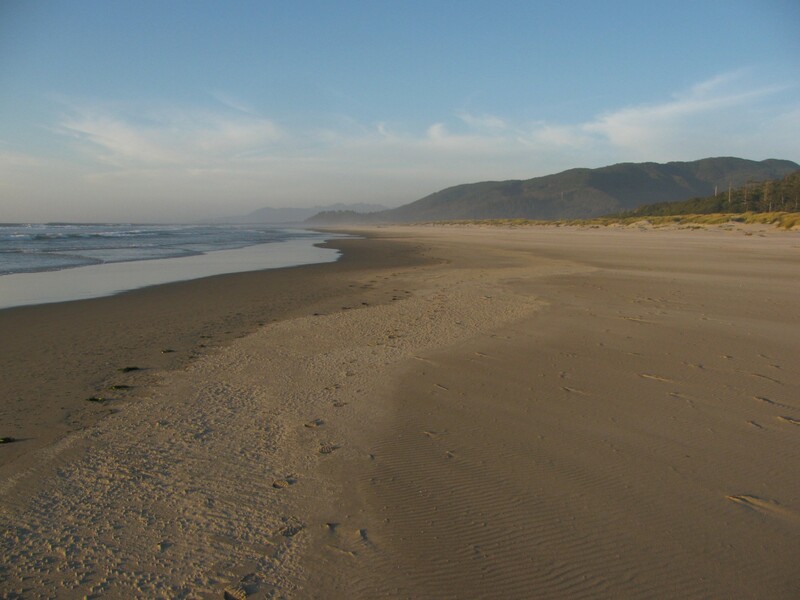 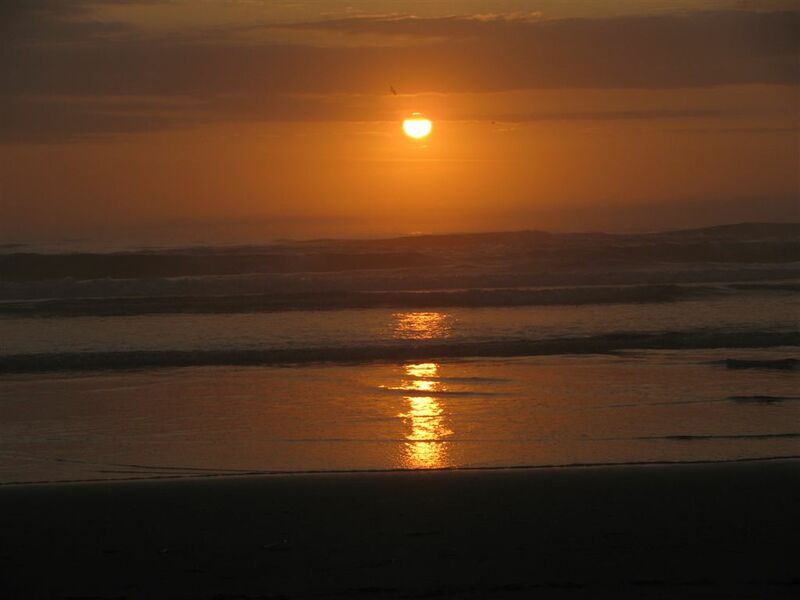 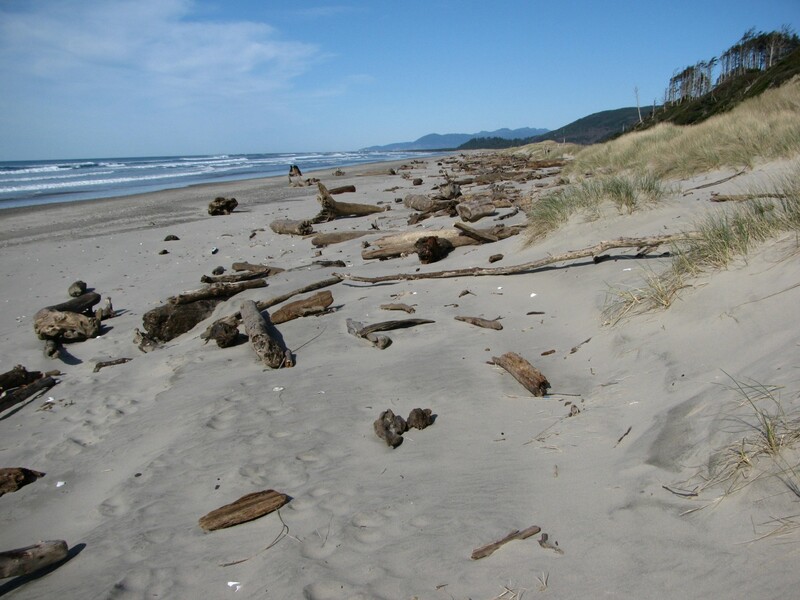 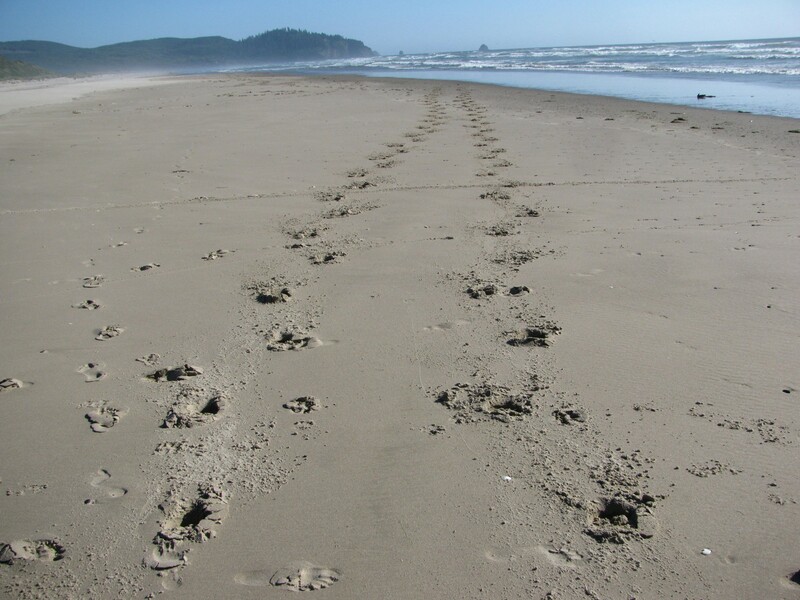 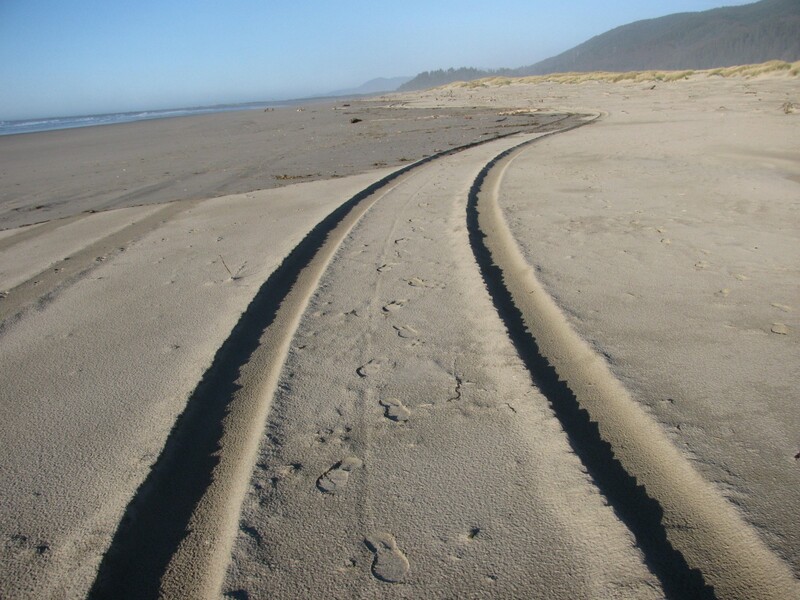 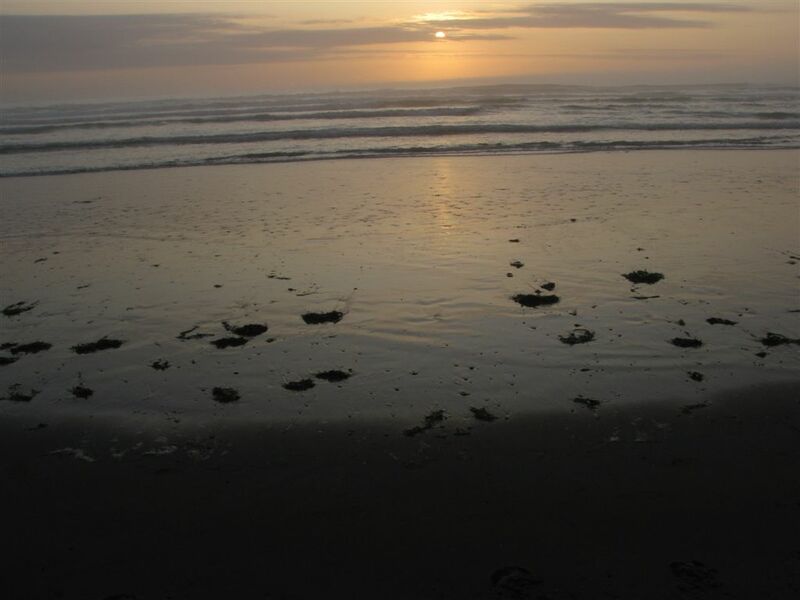 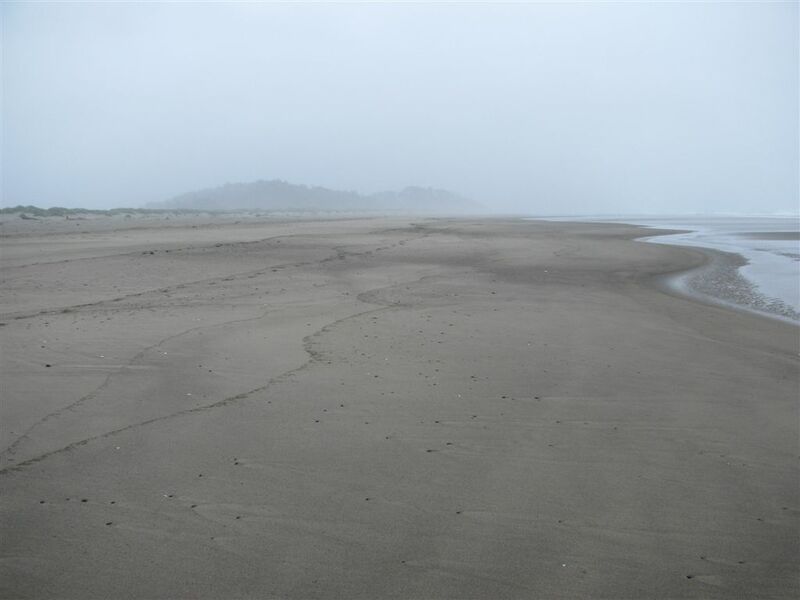 Walked north along the hard sand to the south jetty of Tillamook Bay and then walked back south along the low dunes abutting the beach. 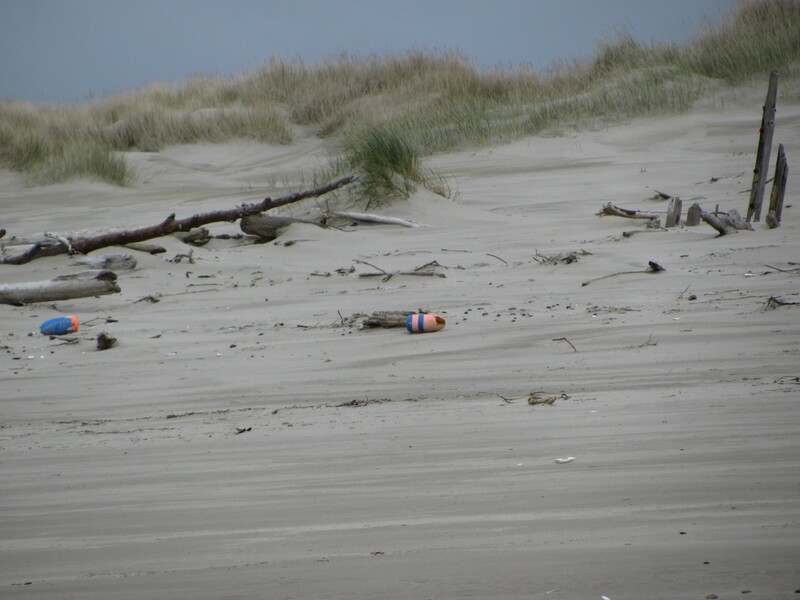 Noted light debris and garbage.